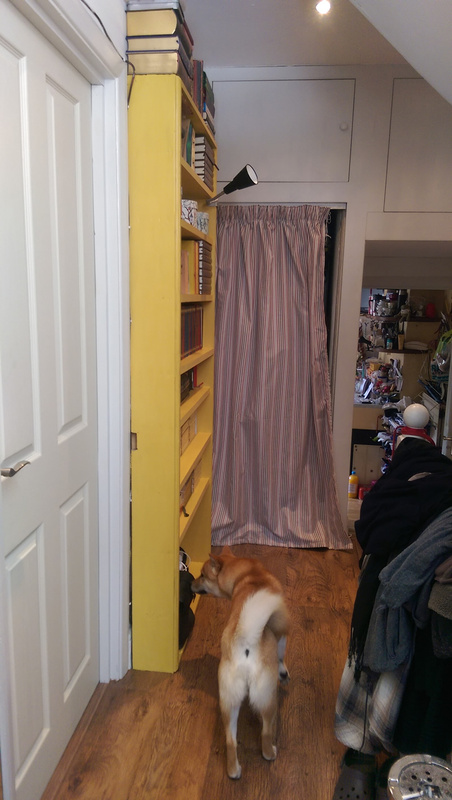 I haven’t done much in the way of home improvement lately but last week we finally had the flooring sorted out in our hallway (we took the carpet up over a year ago…), which motivated me to do something about the bookcase. 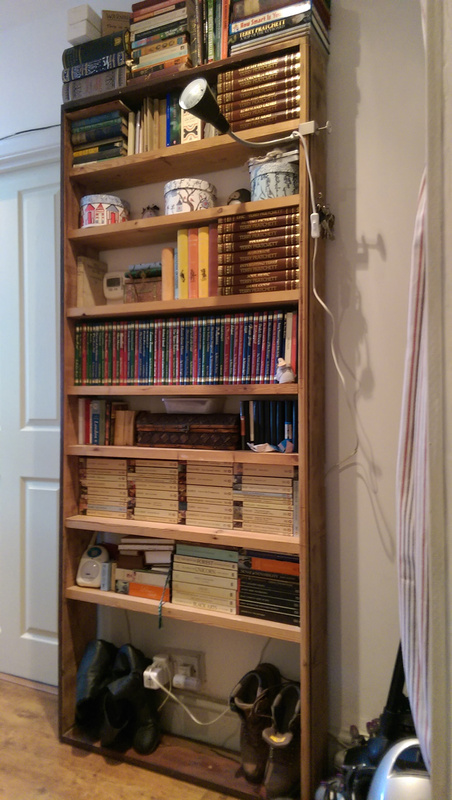 This bookcase was originally a bed frame. 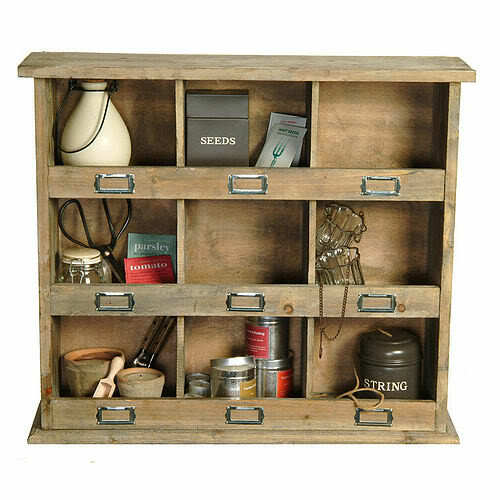 My dad found it in the street years ago and brought it home with him, then turned took the slats off and used them to make shelves (two slats per shelf). 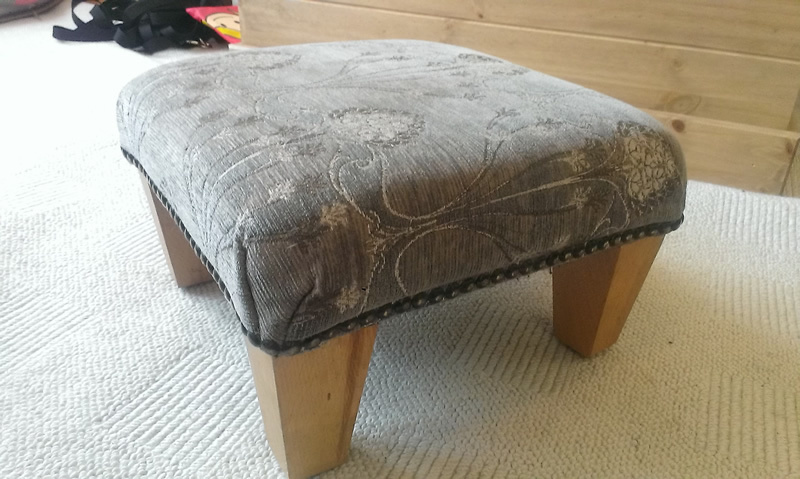 It’s a little bit crooked, and it has some odd holes cut out at the back where it used to fit snugly against the handrail/bannister of our stairs. 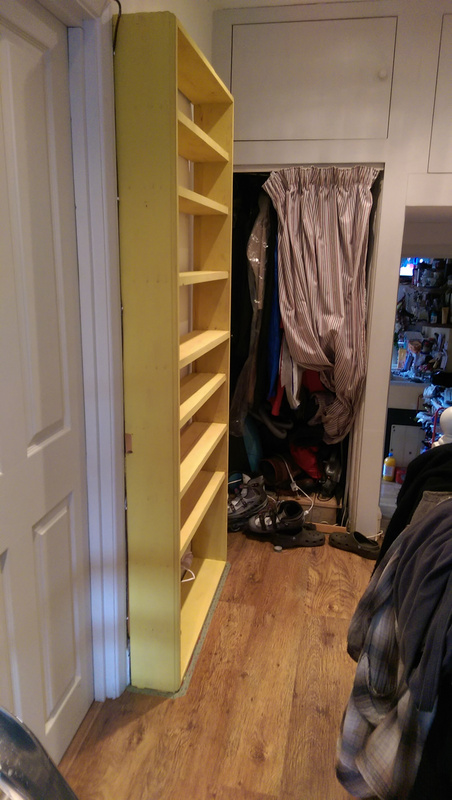 Prior to our loft conversion it used to be on the other side of the hallway (where you can now see clothes draped on the right). There also used to be a skylight, but the new stairs up to the loft block the light so the hallway is now quite dark. 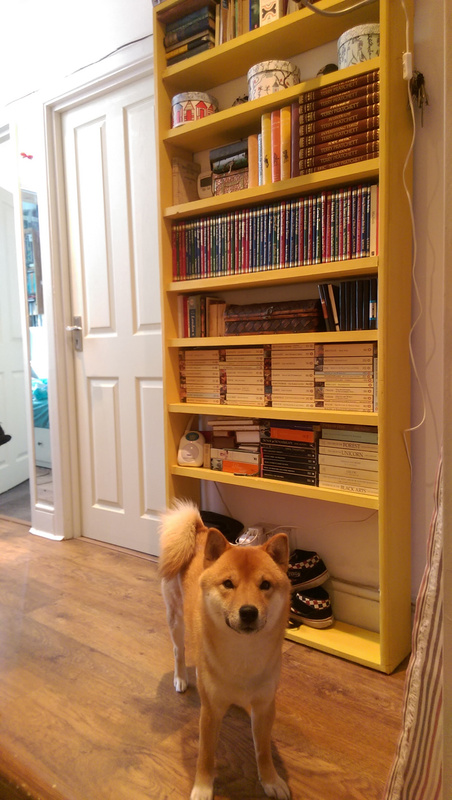 This was what I hoped to remedy by renovating the bookcase. 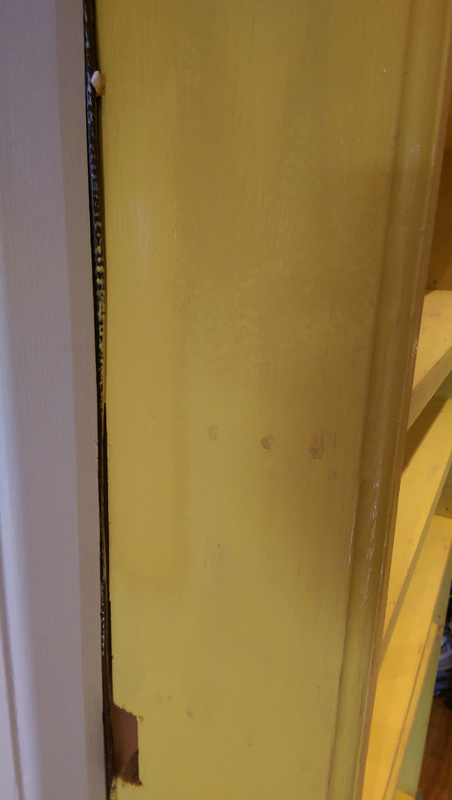 I bought some Annie Sloan Chalk Paint® (in English Yellow), a tub of her Soft Wax, and here’s how it went. 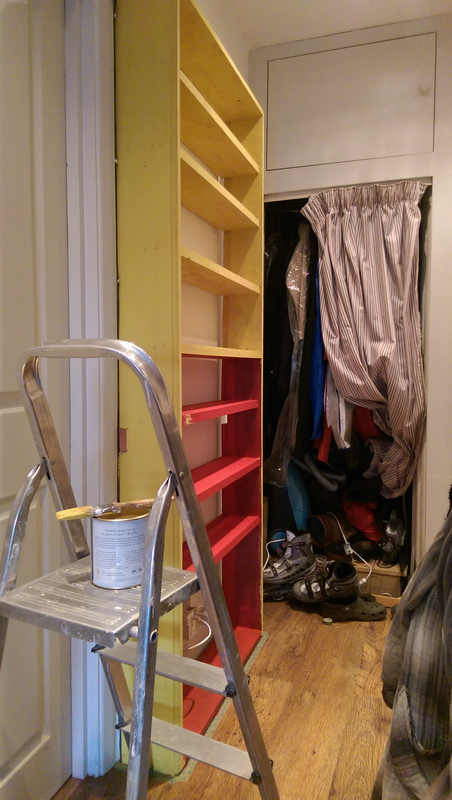 At this point you’re probably thinking “that’s not English Yellow” – and you’d be quite right! 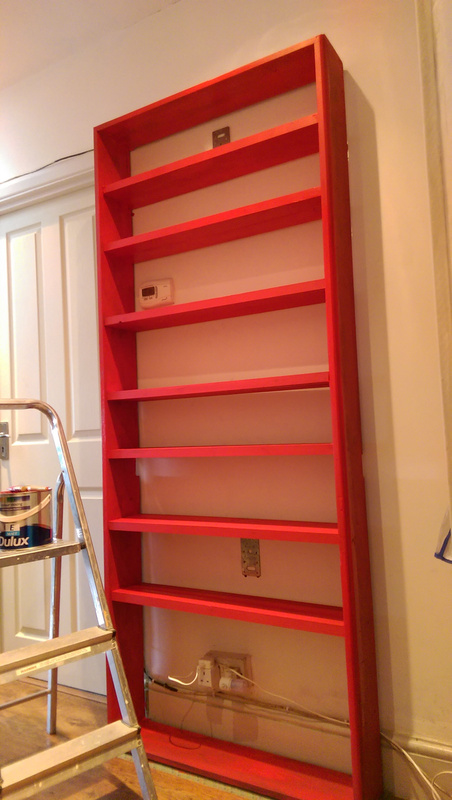 We had some red emulsion left over from another room so I decided to put a coat of that on first. 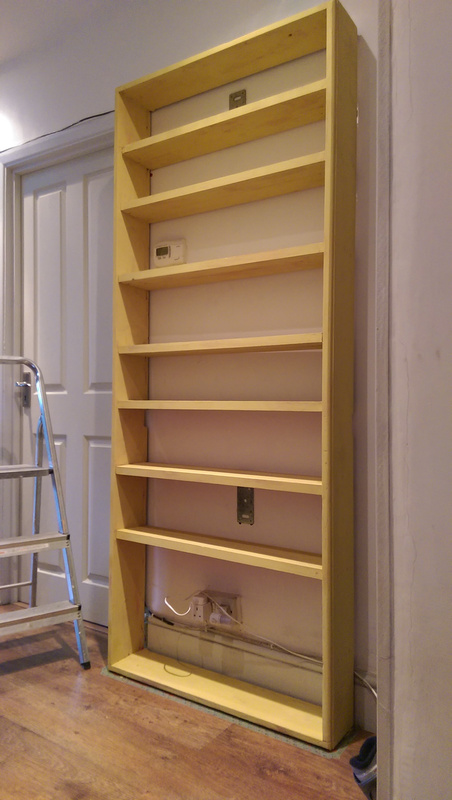 Quite a rough coat, and then I started with the yellow. 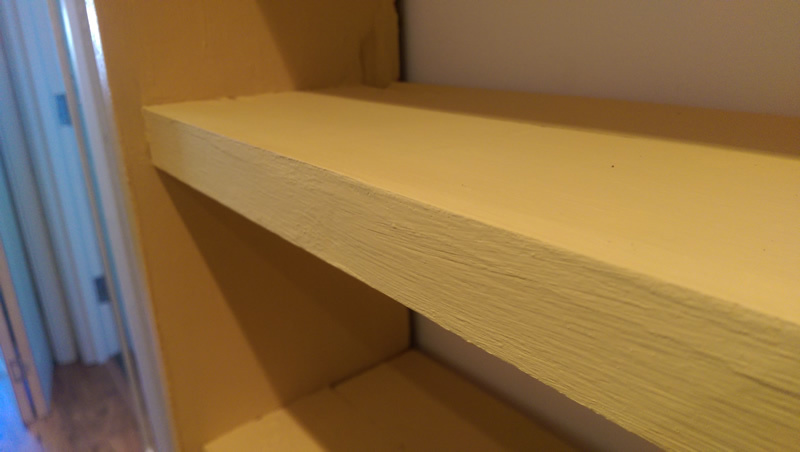 After one coat of yellow I decided that the shade was too cold so I added a small amount of the red emulsion to the Chalk Paint® before I started the second coat. I realise it doesn’t show much difference in a photograph (you can just about see where the new colour is on there), but to the naked eye there was definitely a much warmer feel. 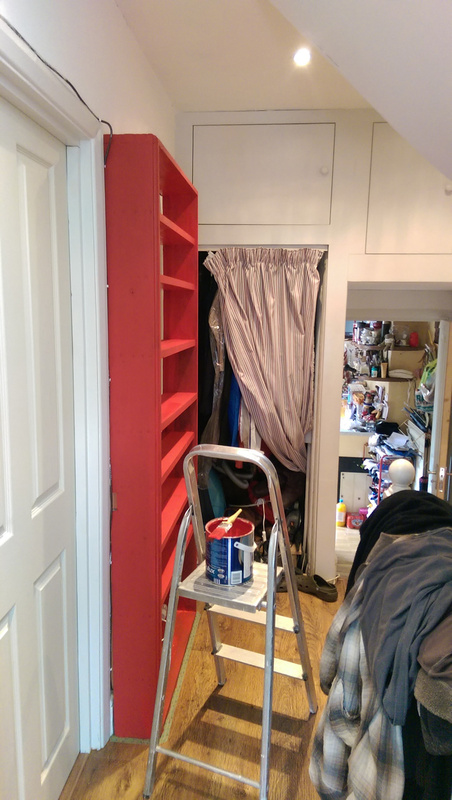 Once the second coat of paint had dried properly I got stuck in with the wax. 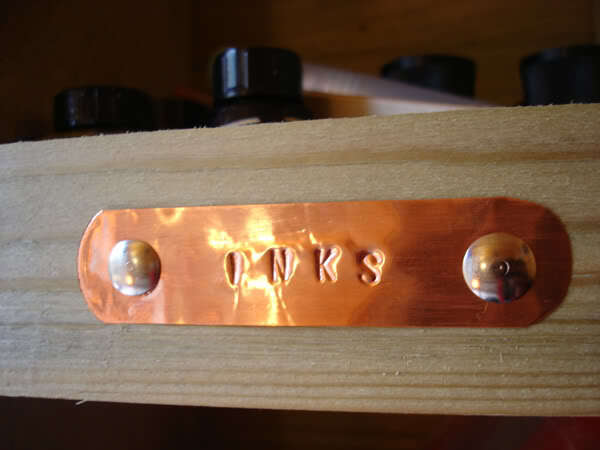 It deepened the hue slightly and also gave a lovely shine once it was buffed a little. 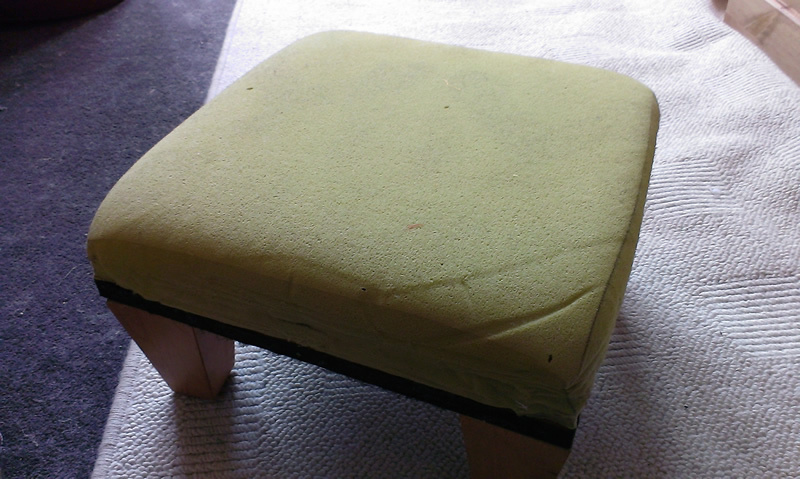 After that I gave it a distressed finish using sandpaper and some strategically applied shoe polish (followed by a final coat of wax). 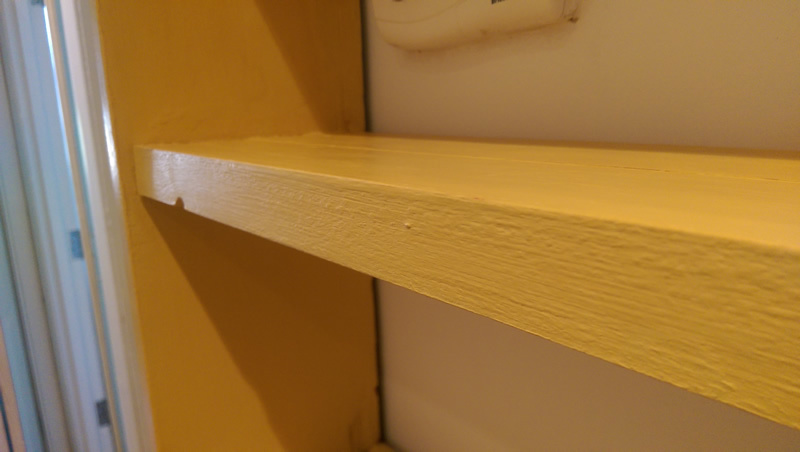 Again it doesn’t really show up that well in the photographs, but the distressing really does help the bookcase look as though it’s been that colour for years! I think we can safely say that the hallway is now well and truly brightened up! 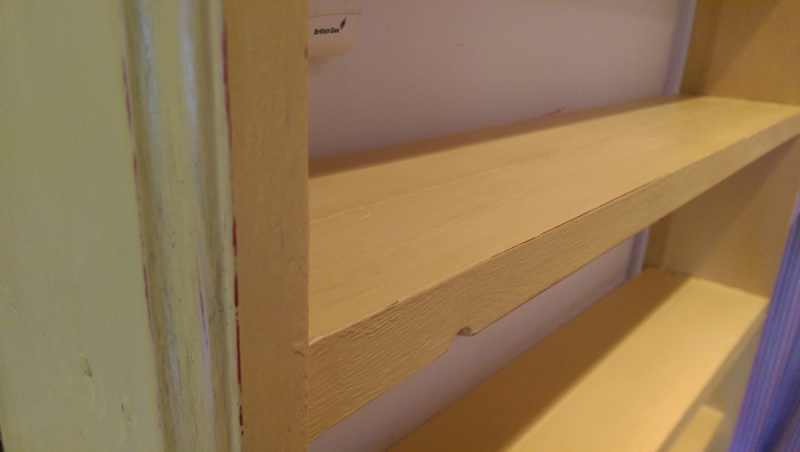 It’s not just the colour that pleases me, but the feel appeal of the shelves now they’ve been waxed is lovely. 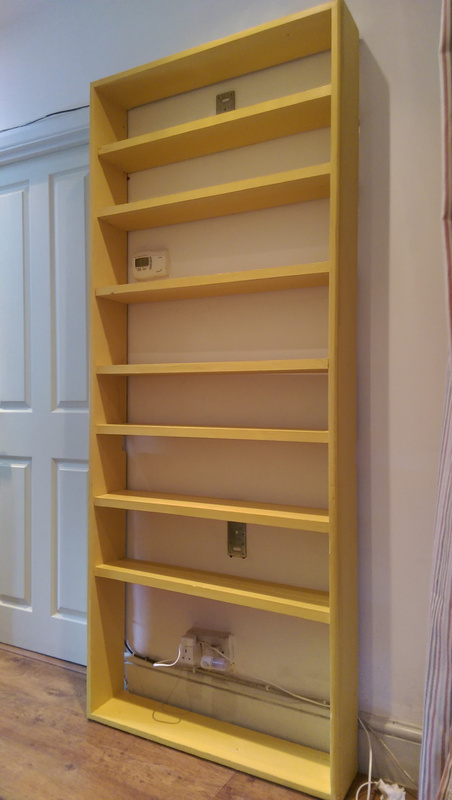 I won’t lie, it took a lot of work to transform this bookcase (three coats of paint which took all day yesterday allowing for drying time between coats, and then a whole morning of waxing, distressing, and buffing) and I’m a bit knackered now, but it was definitely worth doing. 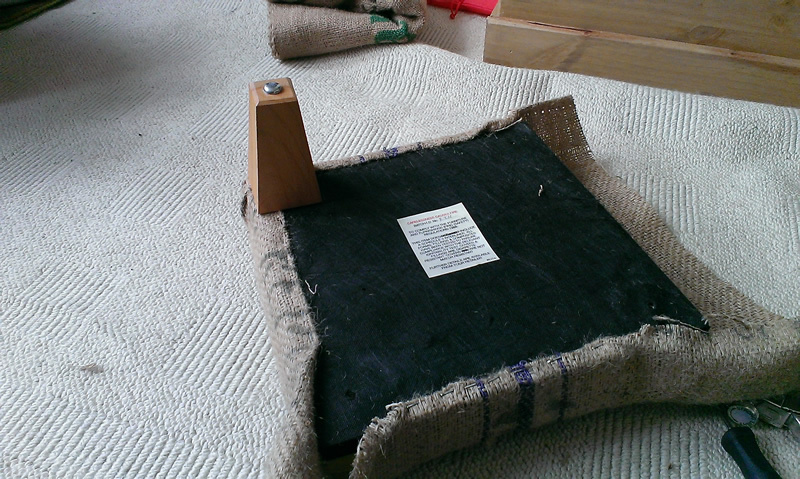 …bet you’re wondering what on earth I’ve made now. 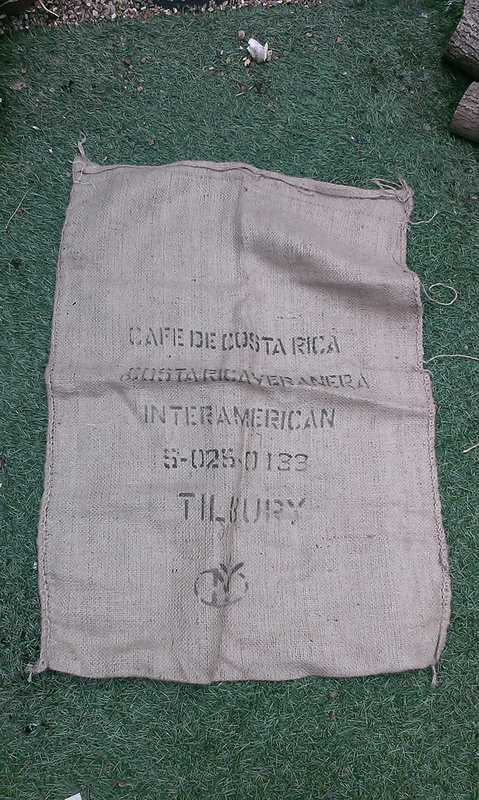 Well, not all the coffee sacks were perfect: as you’d expect from used sacks some of them had marks on them, and of course some just had very dull things printed on (if you want to see some of the prettier sacks then click here). Not ideal for home furnishings but it would be a shame to waste them. 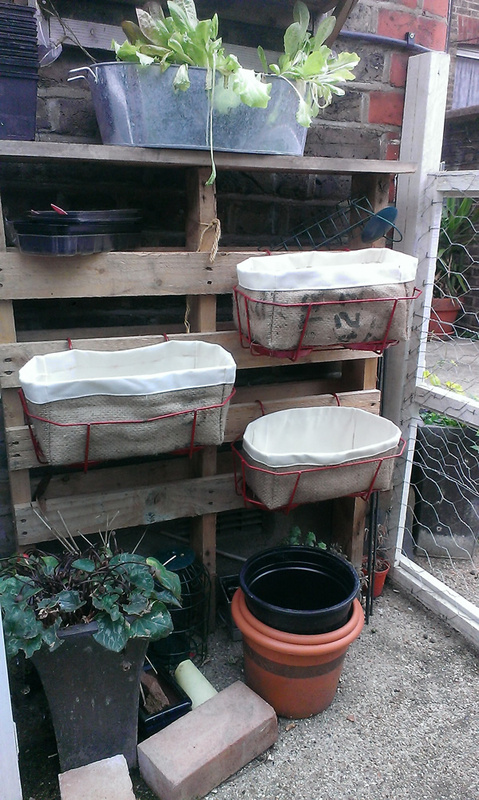 So I decided to try my hand at making some planters for the garden. 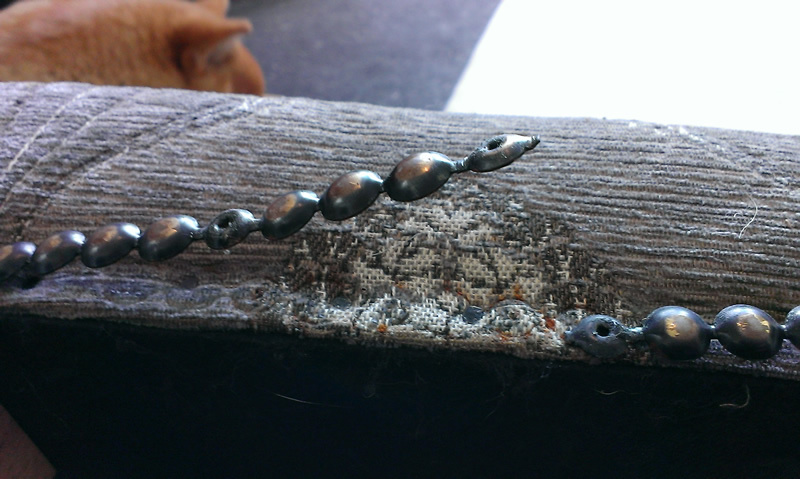 I had a vague idea of how to do this, but didn’t work to a set pattern or measurements. 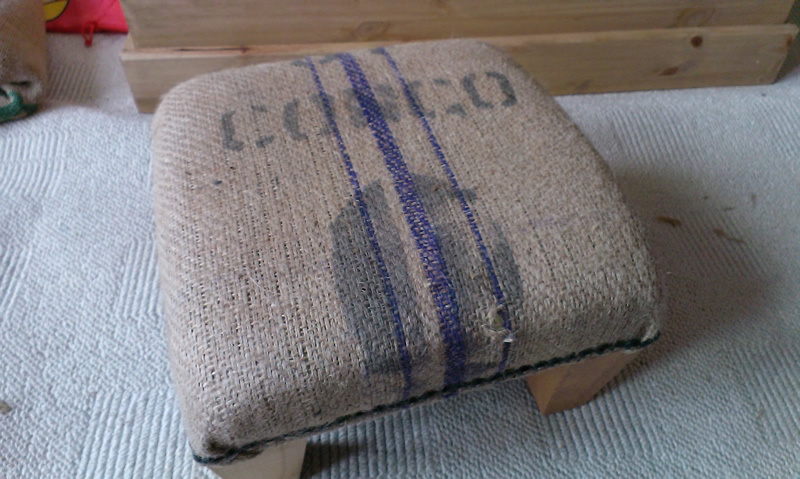 The planters aren’t made solely from coffee sacks as I didn’t think that would be sturdy enough, so I used some old canvas that we had lurking in a cupboard. 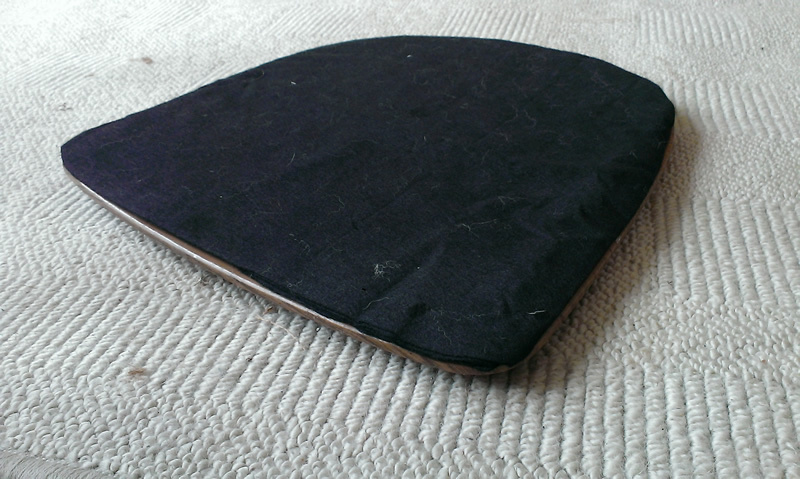 A perfect fit, despite being too lazy to measure! 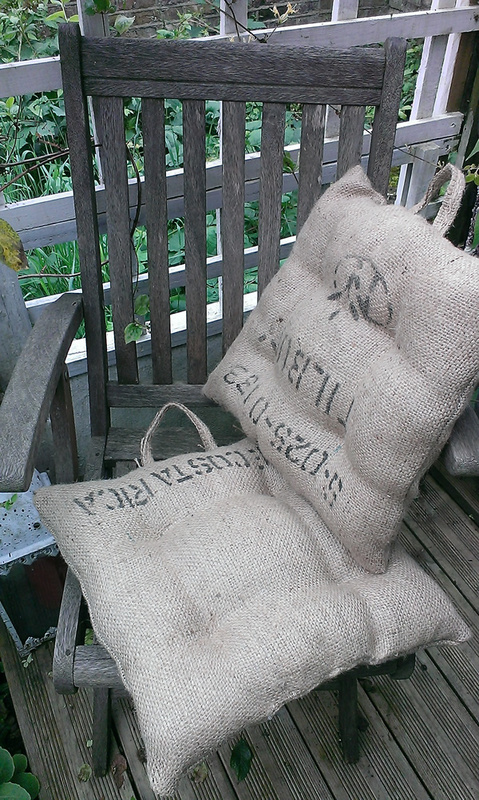 I’m going to plant these up with salad for the summer, and then come the winter they’ll be easy to fold up and store away. I have a couple more of those hanging plant support things so I might make a couple more planters to fit them, we’ll just have to wait and see. 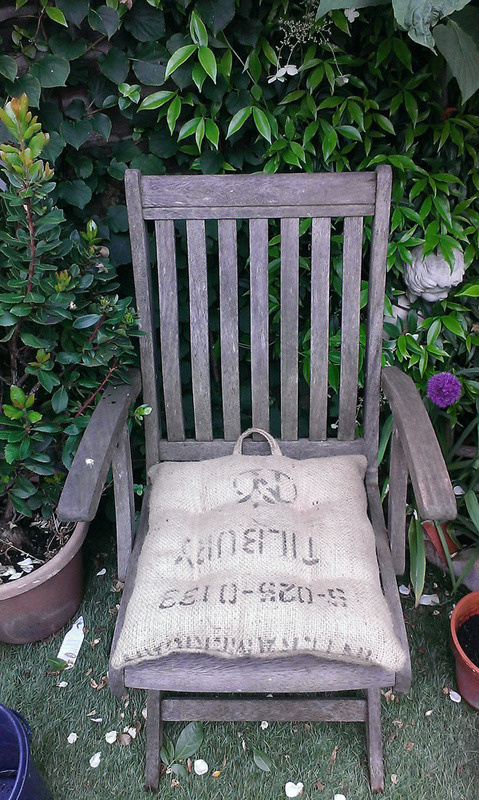 …and a load of stuffing, and what do you get? 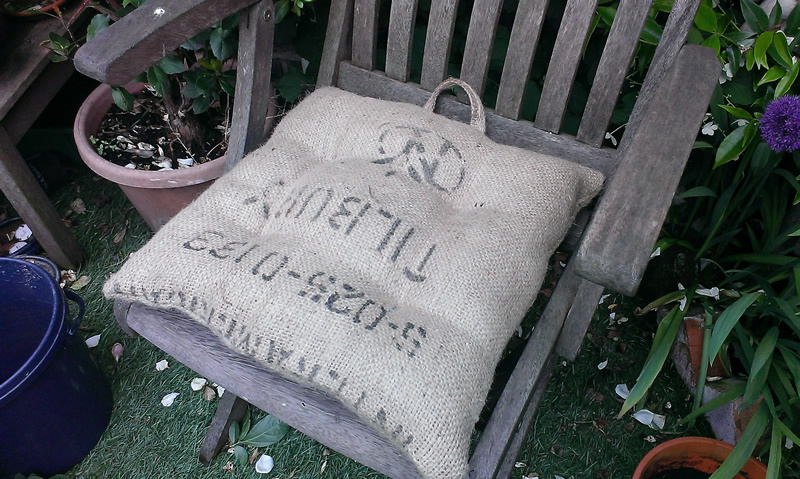 Cushions for our garden chairs! 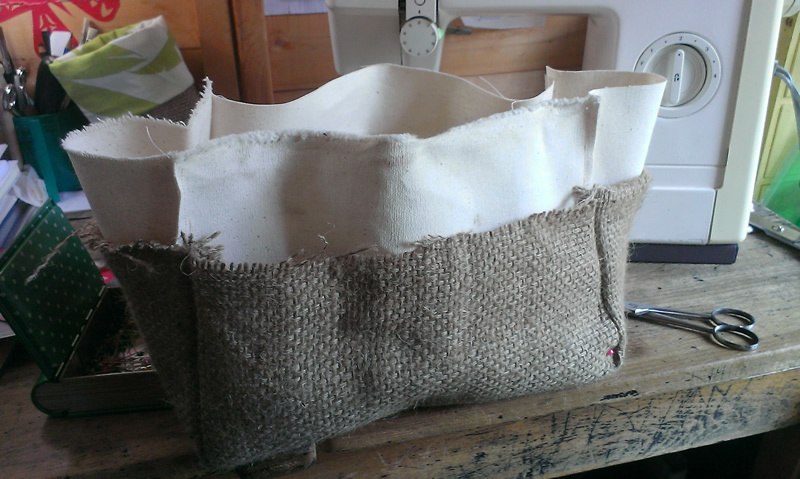 I’m afraid I was too intent on the task in hand to take more than one photo of the making process, but trust me when I say that these were incredibly easy to make. 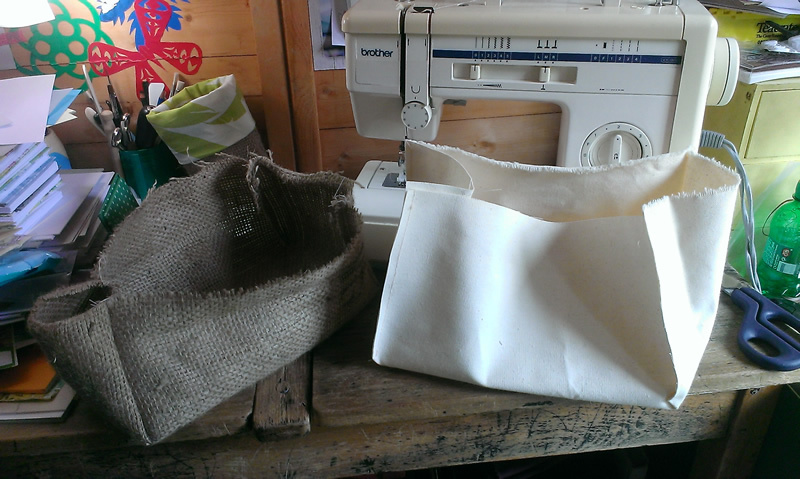 A simple square, a little handle (made from the hem of the sack), and that’s it. The tufting was done by hand and I love the way it makes the cushions look. 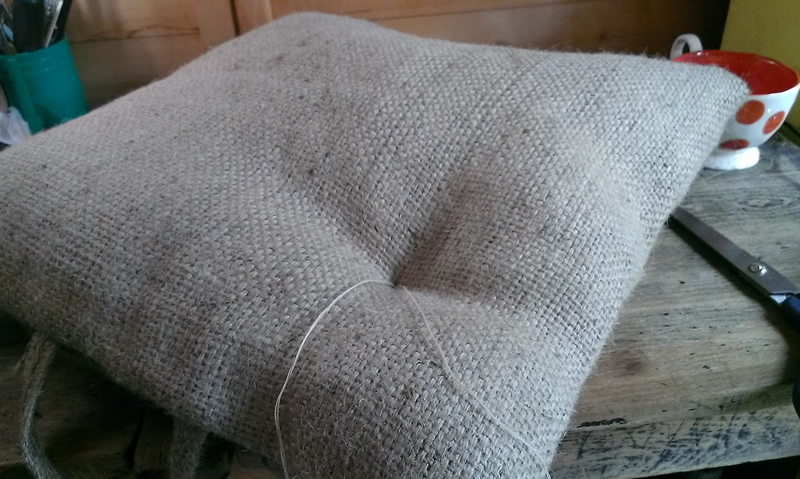 Another very cheap project too, as I made two cushions with one sack (and polyester stuffing is fairly cheap to buy – I think around £4 per bag, and it takes less than a bag to stuff one of these seat cushions). 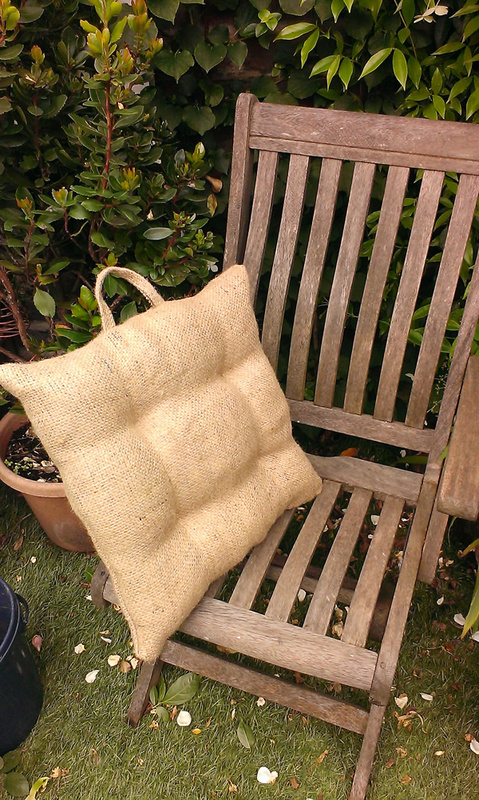 I will be making another two cushions like this as soon as I get some more stuffing. 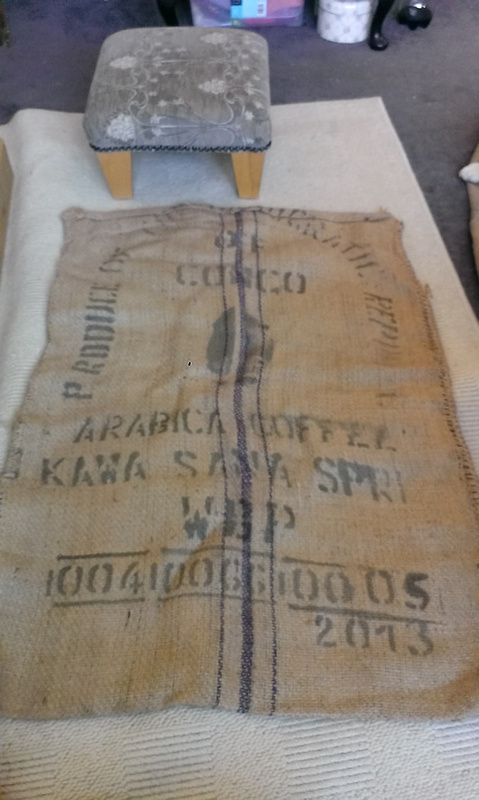 If you missed the first coffee sack project then click here to view it. Earlier this week a friend shared a link on Facebook, and this is the second time that her sharing a link has led me to discover another artist with really cool work. 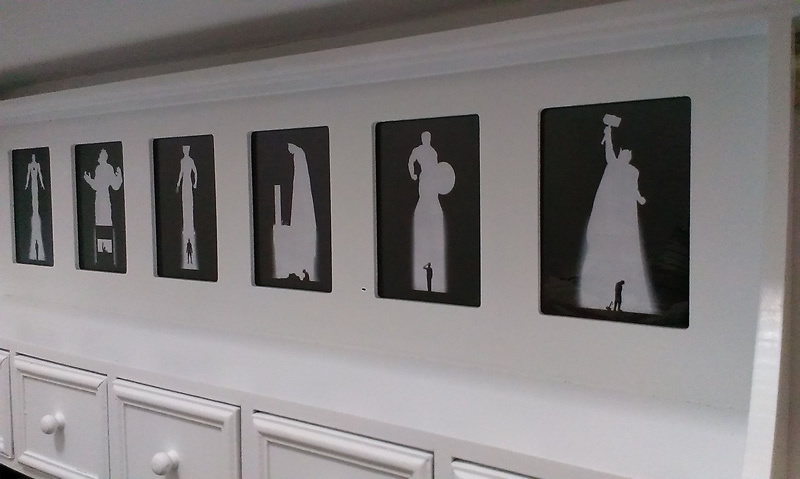 The work in question is Superheroes – Past/Present, By Spaceman (Khoa Ho). 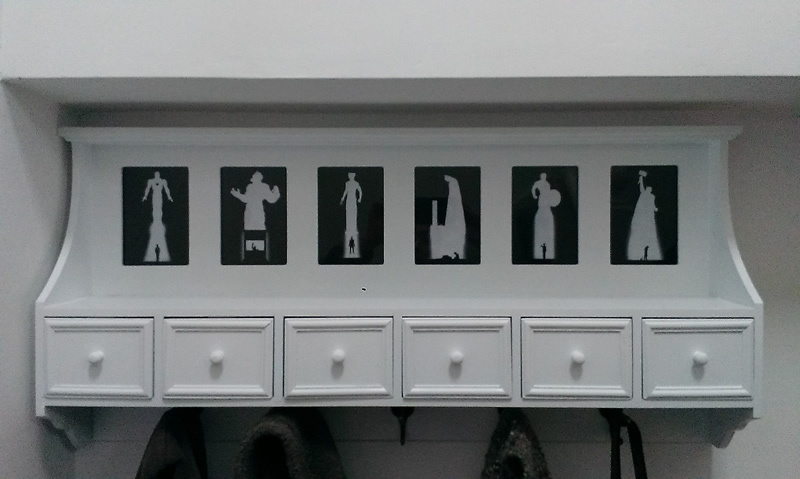 I fell in love with these superhero illustrations (and so did my partner), and I knew immediately that I wanted to put them in our new coat rack. There are limited edition prints of each superhero illustration available at HCG, but they’re way too big. So I e-mailed the artist to find out if I could get smaller editions of the prints. 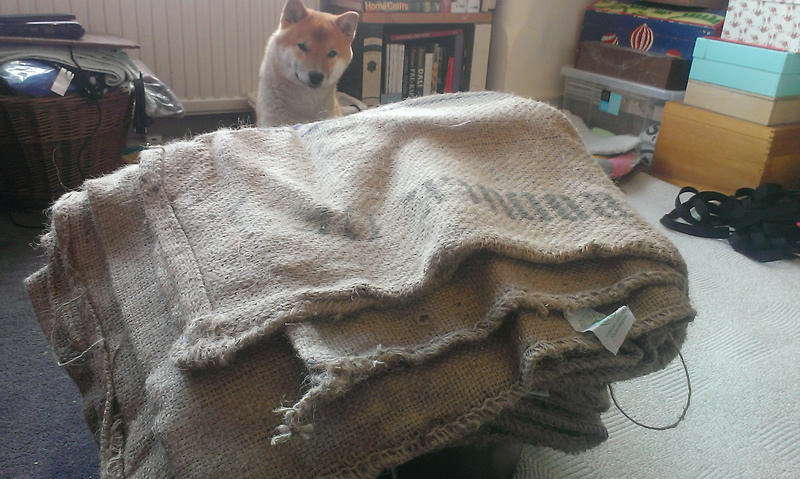 He replied very quickly and suggested that I just print them out from the web versions. Of course I had thought of that, but I have a healthy respect for the copyright of other artists so I felt I ought to ask first! 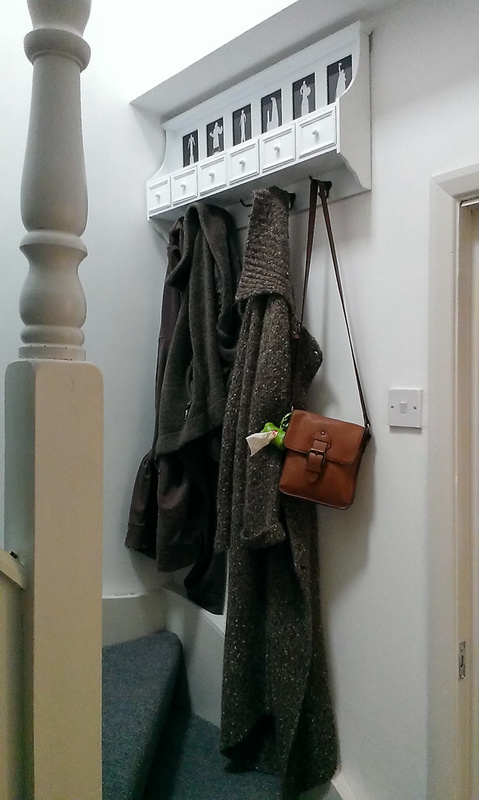 Anyway, I printed the pictures this morning and now I can show off my new coat rack – which is now possibly the coolest coat rack in the entire world. Many thanks to Spaceman for his amazing artwork! I will be keeping an eye on Spaceman’s work as I’m really hoping to see a villains version of this series – that would be fantastic (although I’d need to find room for another coat rack…). 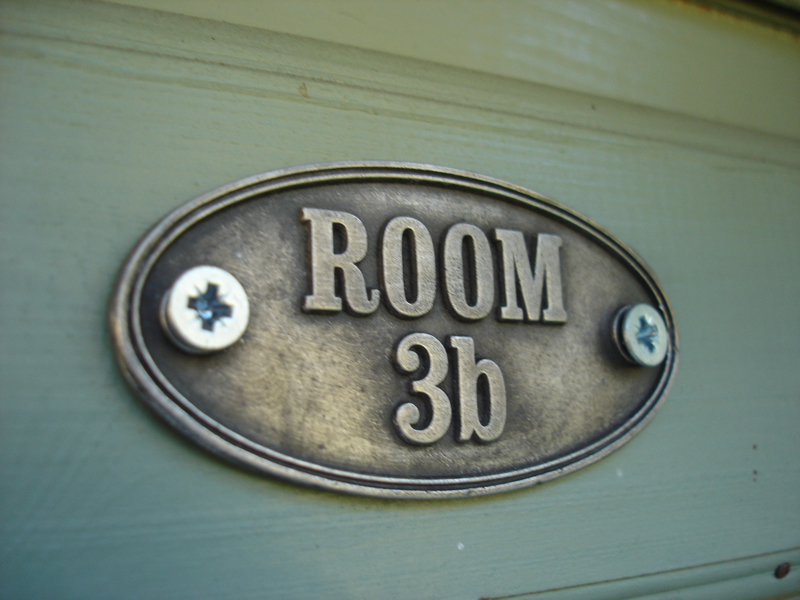 Not the most thrilling title, and not really the most enthralling subject for a blog post either! 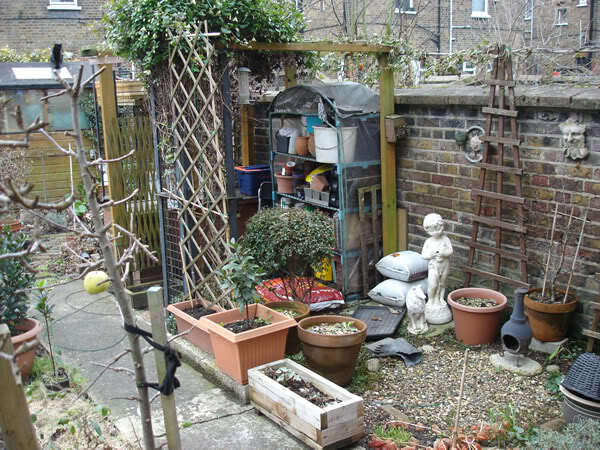 Still, I’ve had a chance to do a little more reorganising in my garden and thought I might as well pop it up here. 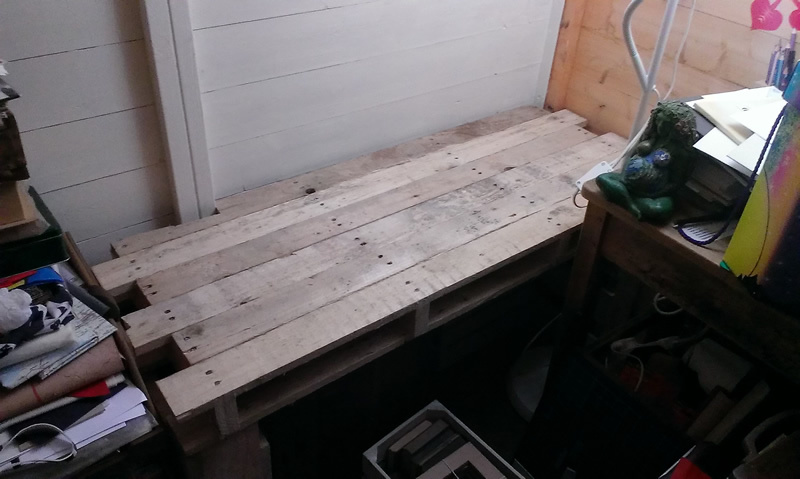 The last bit of pallet recycling involved turning some wooden pallets into a bench for my studio (click here to view that post – you’ll need to scroll down quite a way to see it). 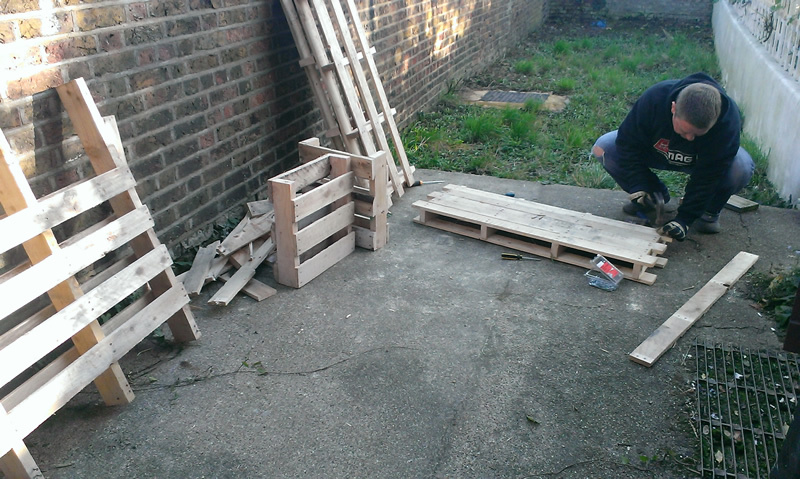 However we did have some bits of pallet left, which was annoying as (of course) that means having to dispose of them. Hmm. 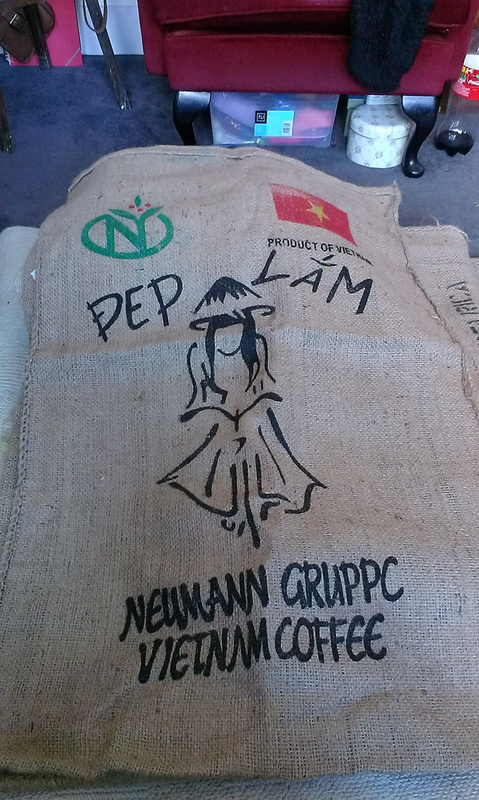 So, since November I’ve been pondering on and off how best to use up the rest of the leftovers. 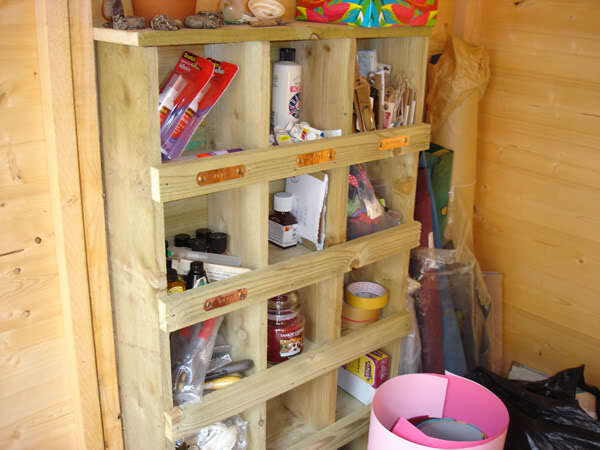 I stumbled across a great idea at A Beautiful Mess for creating a vertical garden using old pallets (click here to view); which I loved, but it didn’t really fit right with my own garden, as I have a lot of pot holders which need to hang off horizontal supports. 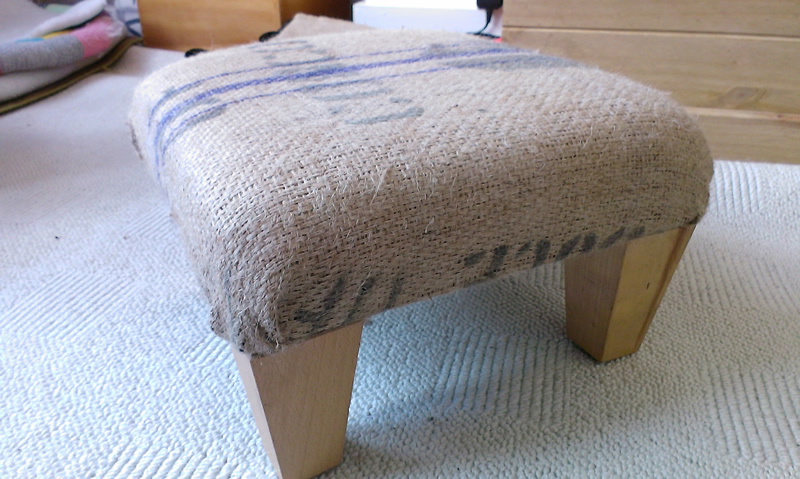 Still, it provided enough inspiration for me to go back to basics and just use the pallet as is. Just adding a wider board (another leftover from another project!) 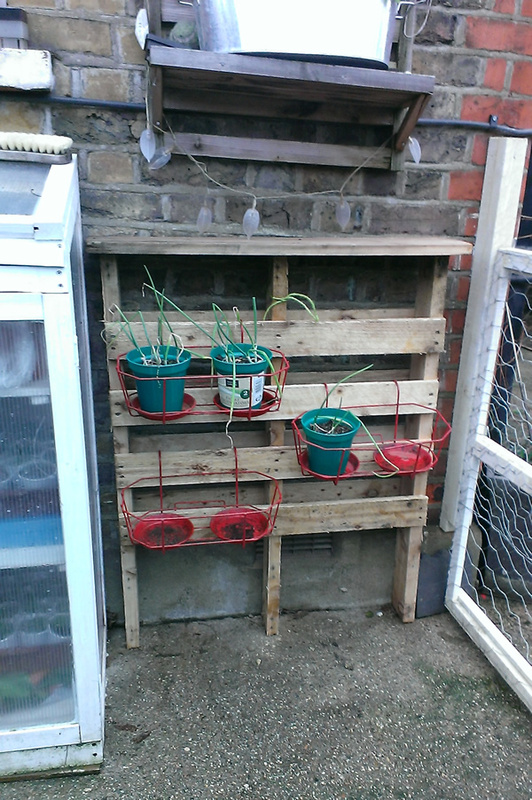 to the top to make a shelf, on which I will sit troughs full of vegetables come the summer, and voila! 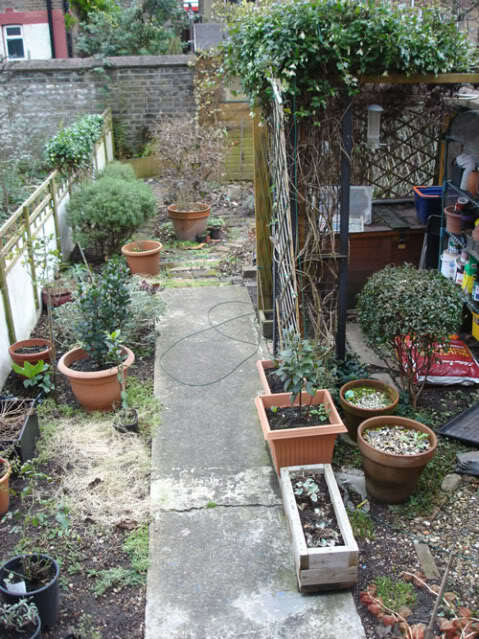 One handy pot hanging space, which might not look much now but if you pop back in the summer it’ll be blooming. I may even paint it, you never know. 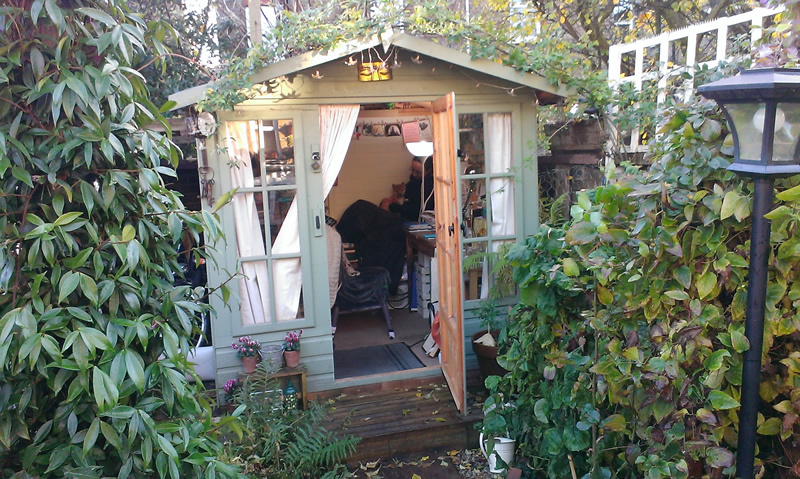 Once upon a time I decided to build a studio at the end of my garden. It sounds so simple when it’s put like that, but it was quite an emotional thing. 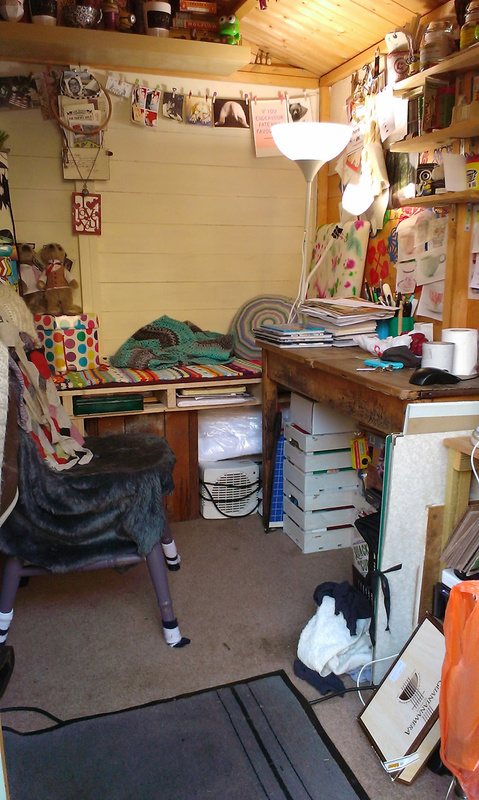 I had a lovely studio in Brentford (click here to see some photos of that), but my father died and I felt it would be better to move my studio closer to home so I could be around more for my mother. 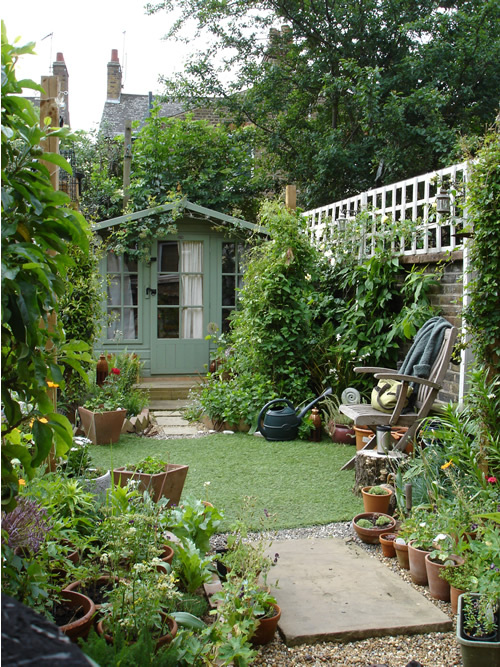 The garden seemed the logical choice. 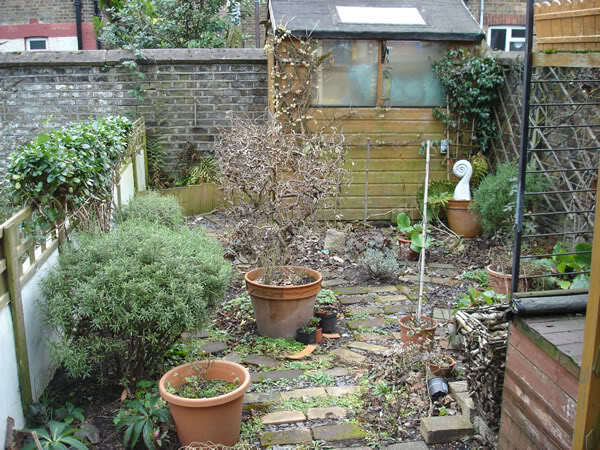 My garden was in an absolute state, but tackling the redesign of the garden and the building of the studio was hugely cathartic for me. 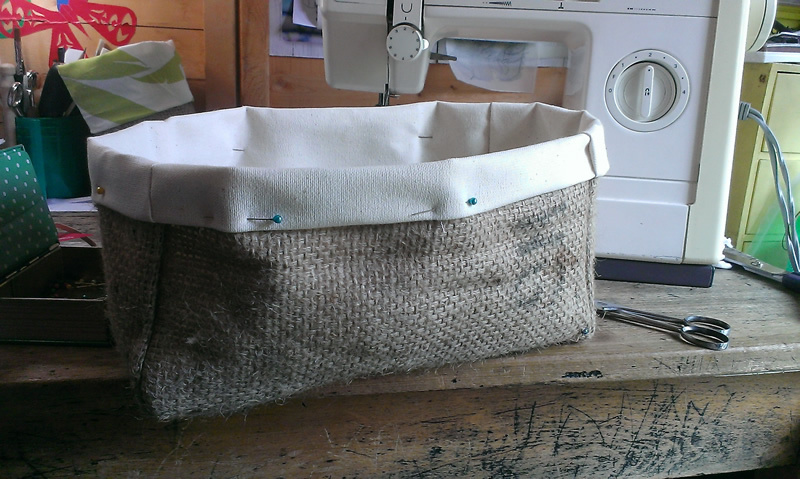 Everyone deals with grief in their own way, and mine is to channel all my energy into making things. It keeps me from brooding, and the sense of accomplishment helps to wash away the pain. 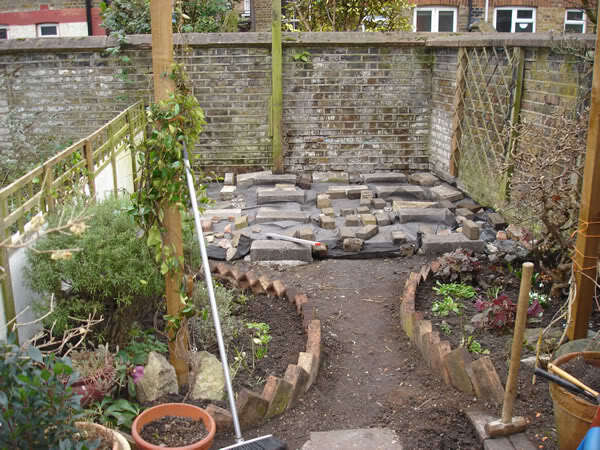 So, despite the bitterly cold weather (dad died just before Christmas, and the garden/studio build went on from January through to April) I ploughed on and here’s how it went. 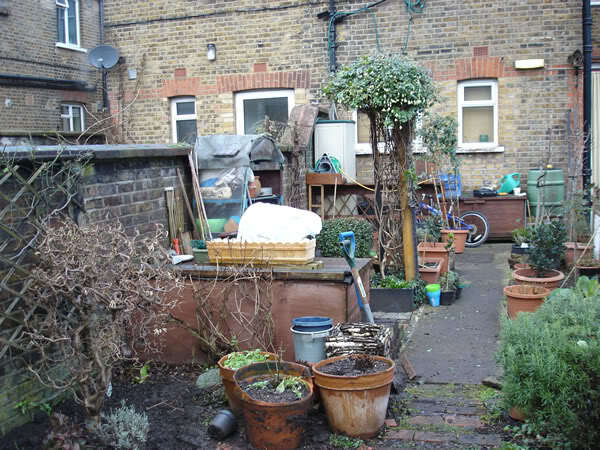 Before…it really was terribly neglected! 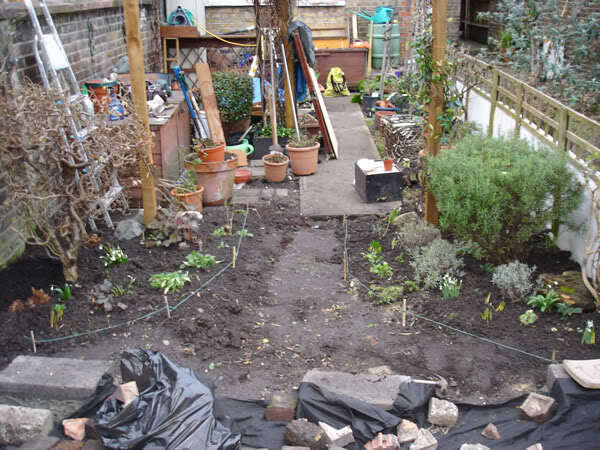 So I took down my old shed (which was in need of replacing anyway), dug out the concrete path (which had been there since I was born! 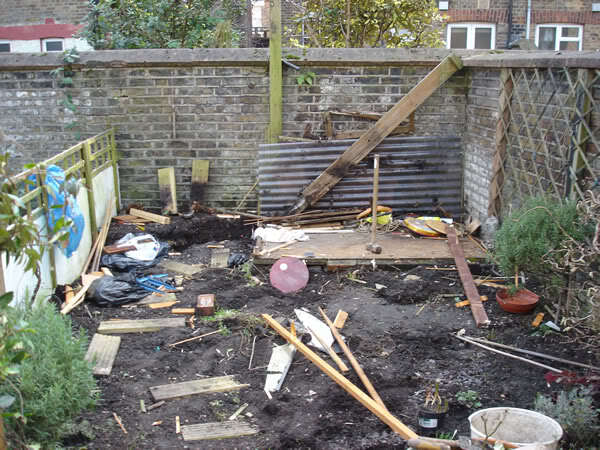 ), removed the old pergola, and basically ripped out everything. 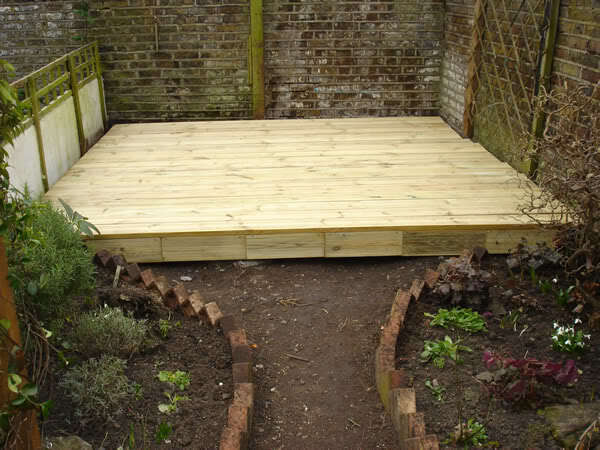 I decided on a layout for my flowerbeds, then laid decking at the far end of the garden. 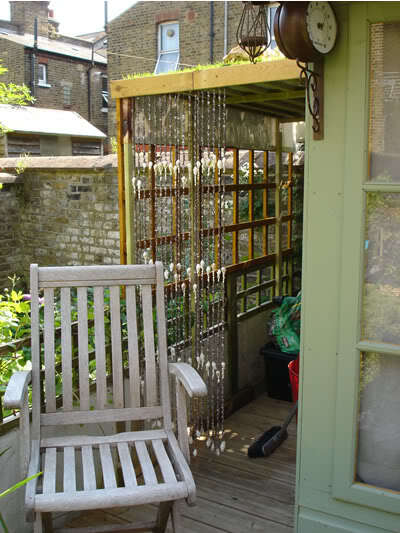 That end of the garden is very shady, so my thinking was that putting the shed on decking (as opposed to a concrete or paved base) would help the air circulate and thus help prevent damp. 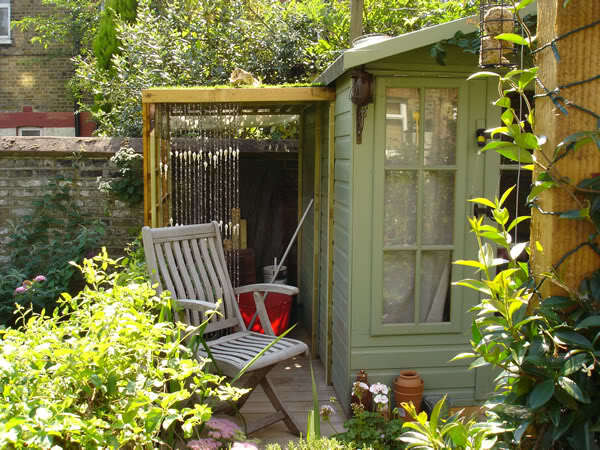 I had already decided to buy a prefabricated summerhouse, and found a great one at Tesco Direct for the bargaintastic price of £449 (it’s the 7×7 ft Chatsworth summerhouse, which has now gone up in price). 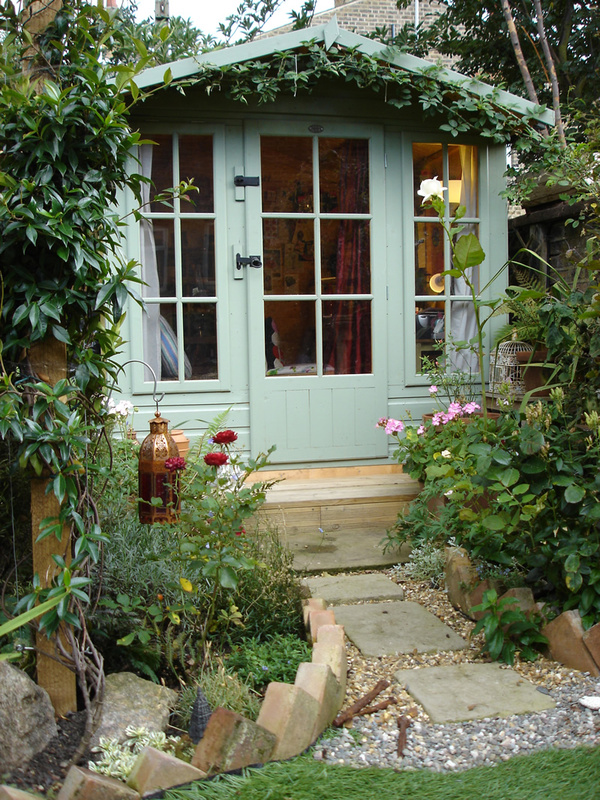 The summerhouse arrived, and I painted it with Cuprinol Garden Shades (in Willow) before we put it up. I actually moved all my stuff into the studio at this point, but I’ll get to that in a bit. 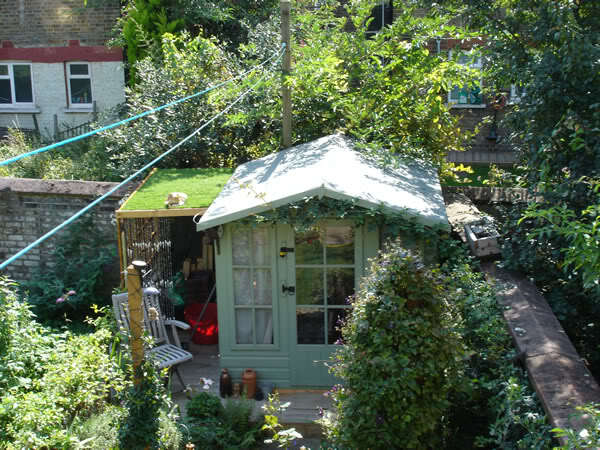 For now let’s skip ahead to September of that year when I found myself in need of a bike shed. Not something I’d really thought much about (as I didn’t have a bike at that point! 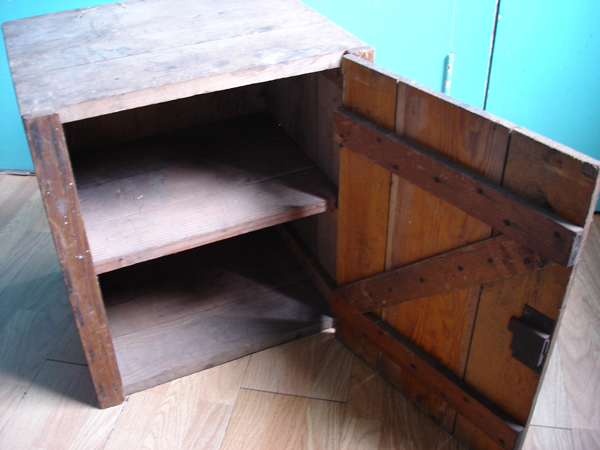 ), but my partner was about to move in and he needed somewhere to store his. 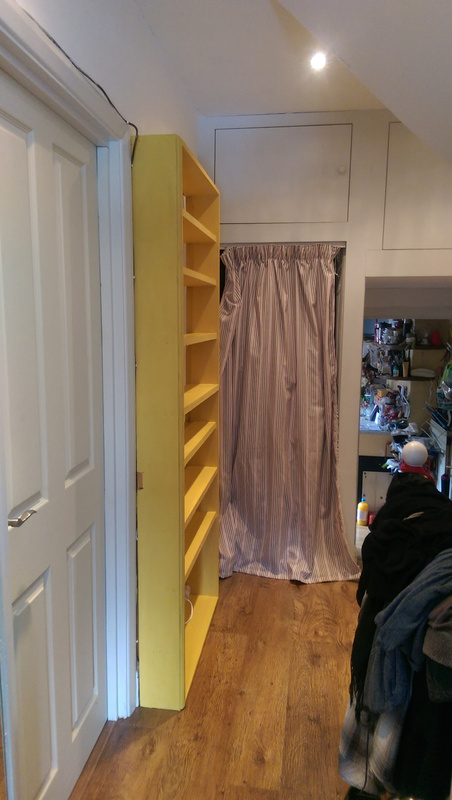 Funds were tight again, and I wanted something that would fit the available space perfectly…so of course I built something to fit! 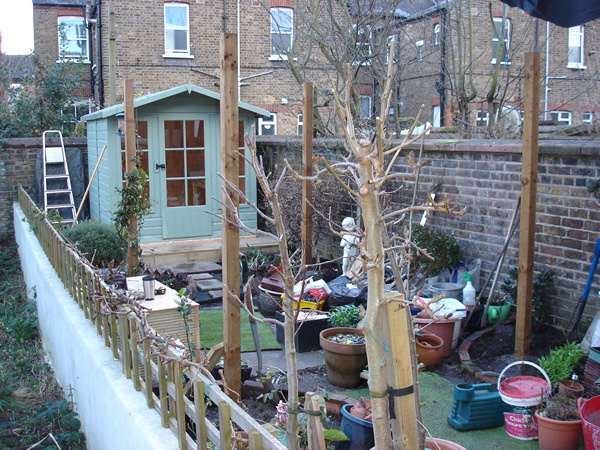 It was a simple frame of timber (most of which was left over from other projects) and trellis. The roof frame was covered first with some heavy duty vinyl (a section of repurposed billboard advertising that I’d scrounged about a year earlier), then with offcuts of artificial lawn. 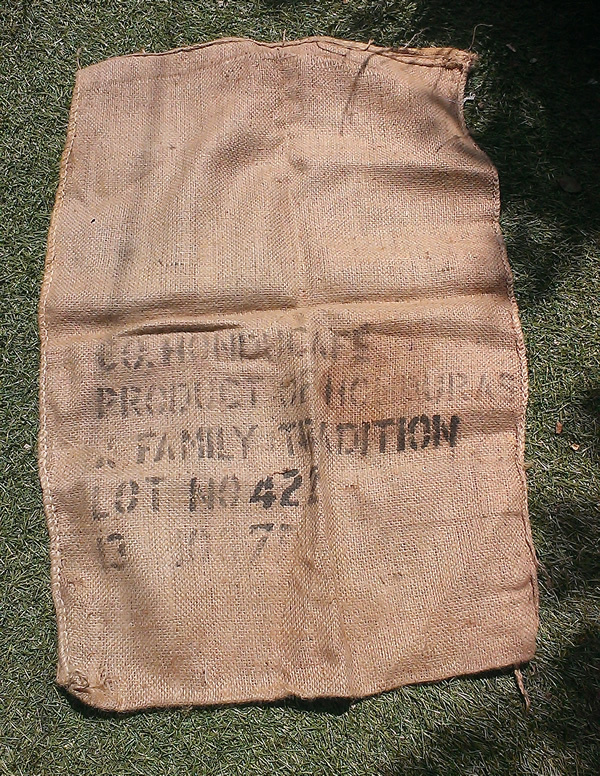 The shell curtain at the front was a souvenir from a trip to Indonesia. 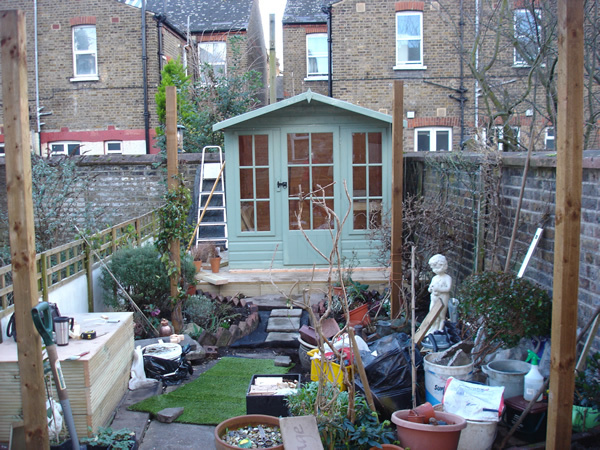 The finished bike shed is perfect, and I even added a shelf on the trellis side to hold plant pots and other small things. The York stone was rescued from an elderly neighbour’s garden when she moved into a care home and the council ripped up her beautiful garden and paved over it (honestly, I could have wept), the artificial lawn was rescued from a skip (it had been thrown out by an events company that had only used it for one event), the chairs and little table were free (unwanted in another garden), a large number of the pots were given to me by clients who no longer had room for them, and even most of the plants were free! 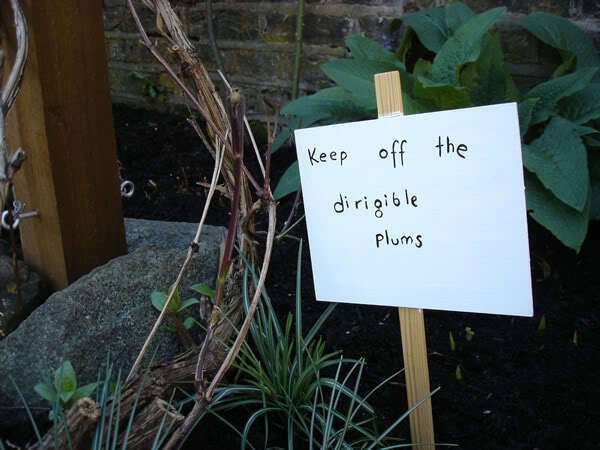 There are little personal touches all around the garden, from birdcages to odd signs, and everything in between. 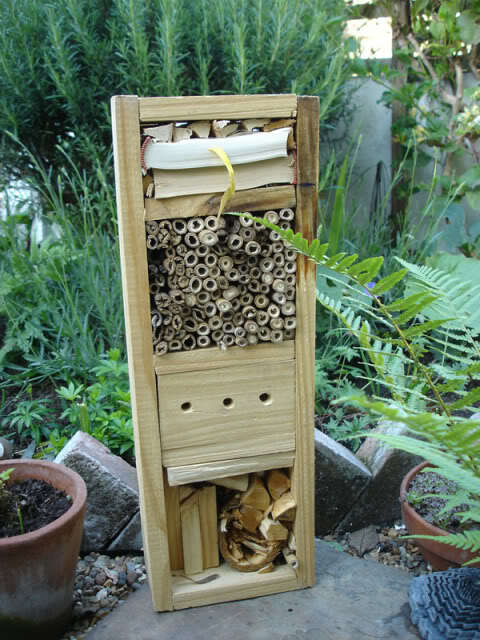 The insect hotels and beehive compost bin were made using offcuts of wood, and random logs, bamboo canes and books. 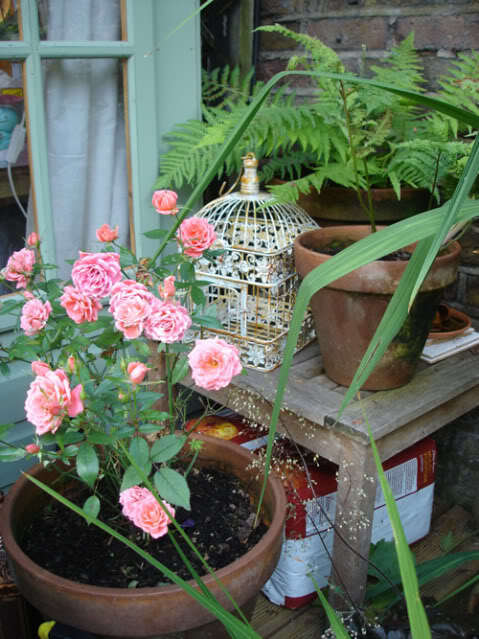 I’m very proud of the fact that my garden is mainly composed of free, recycled and repurposed things. But frankly at £95 I thought it was ridiculously overpriced! So, what’s a girl to do? Build her own of course! 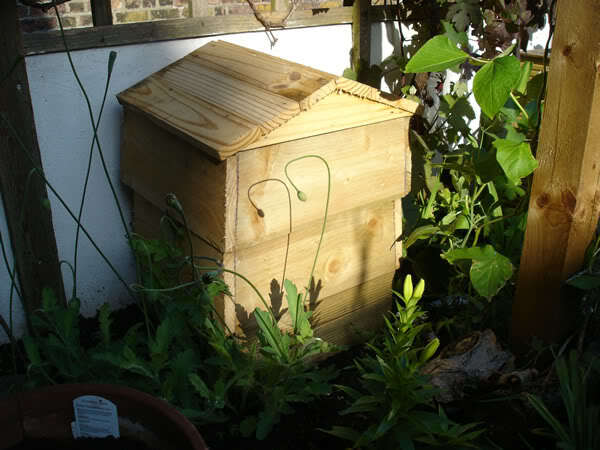 The timber (exterior quality battens and gravelboards) for this cost less than a third of what the shop-bought version would be, and the finished product was double the size – can’t get better than that! 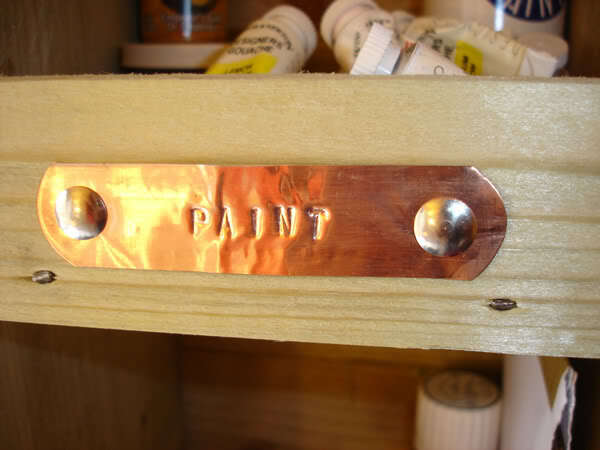 I used copper plant tags to make labels for the shelves, and fixed them on with drawing pins. Simple but effective. 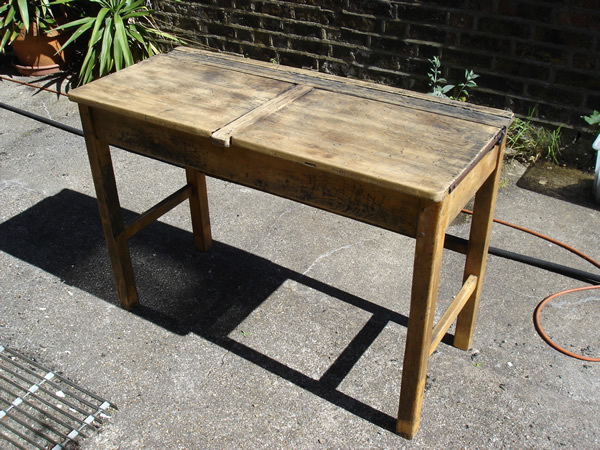 My desk was a bit of a problem because I really wanted a vintage school desk, but all the ones I saw online were very expensive (ranging from £40 for a single small desk up to £110 for a double desk). 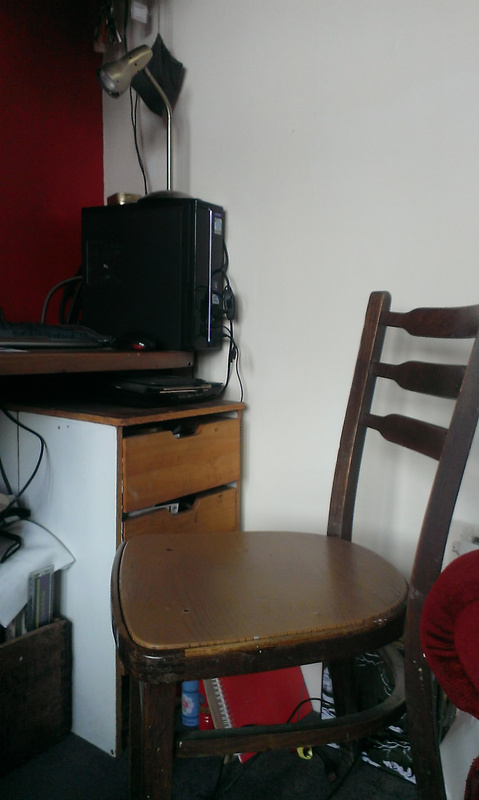 So initially I bought two small laptop desks from IKEA for £10 each. They served well for a while, and then I finally got lucky at a car boot sale and picked up a beautiful double desk for the wonderfully cheap price of £35. Yay! 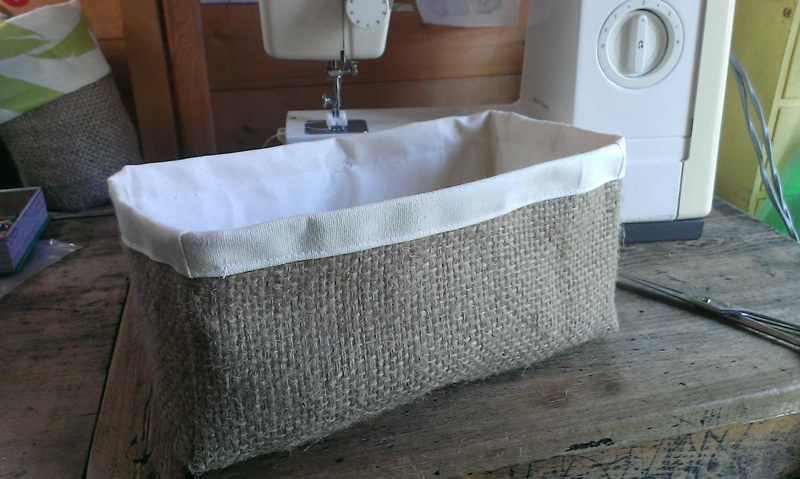 Click here to see how I cleaned it up ready for use in my studio. 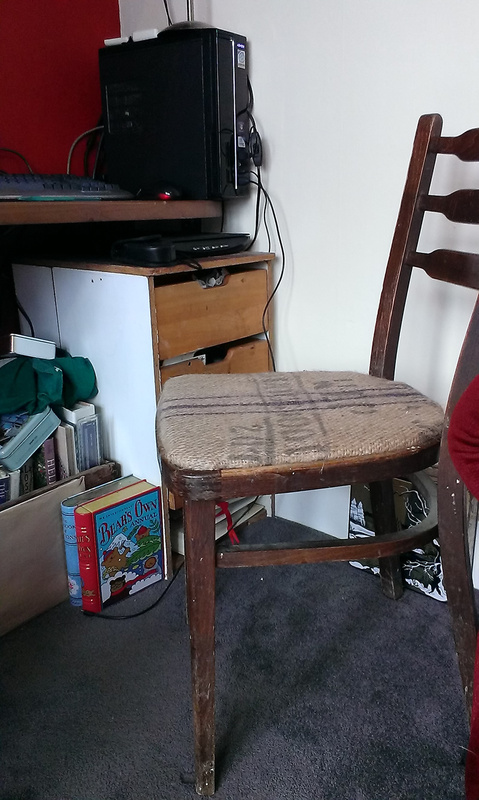 A desk is no use without a chair, and I’ve been through three so far – two of which were found on the street, and the third (which is still going strong!) 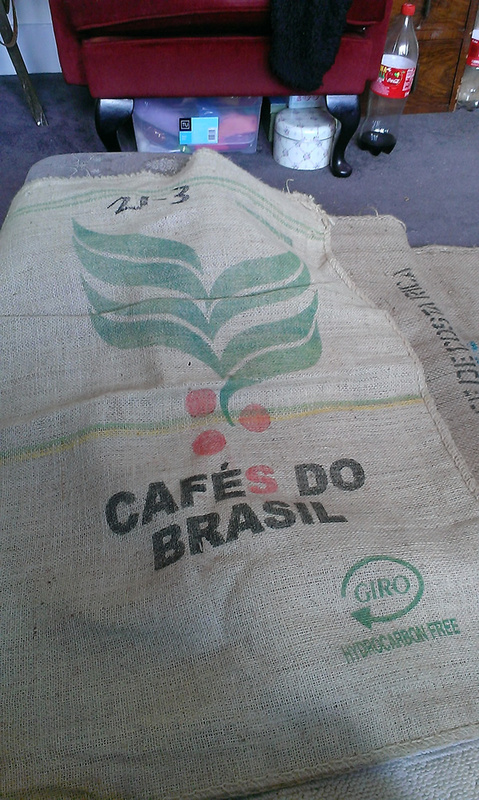 was given to me by a neighbour who no longer needed it. 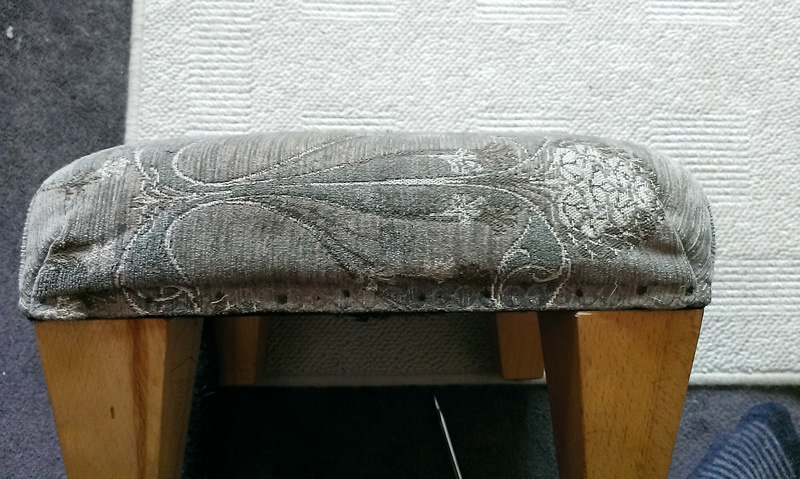 Click here to see what I did to chair number two. 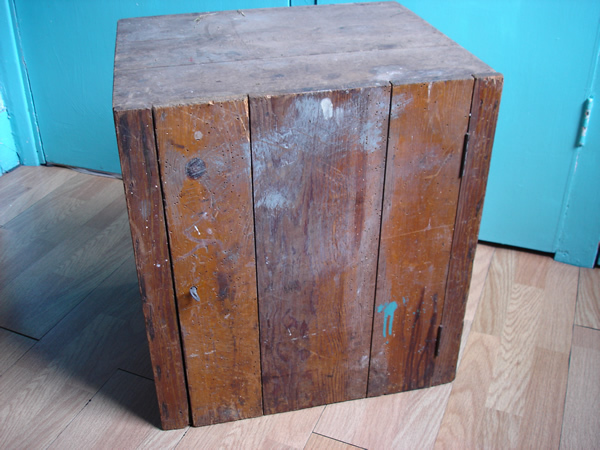 The rest of the furniture has turned up in dribs and drabs. 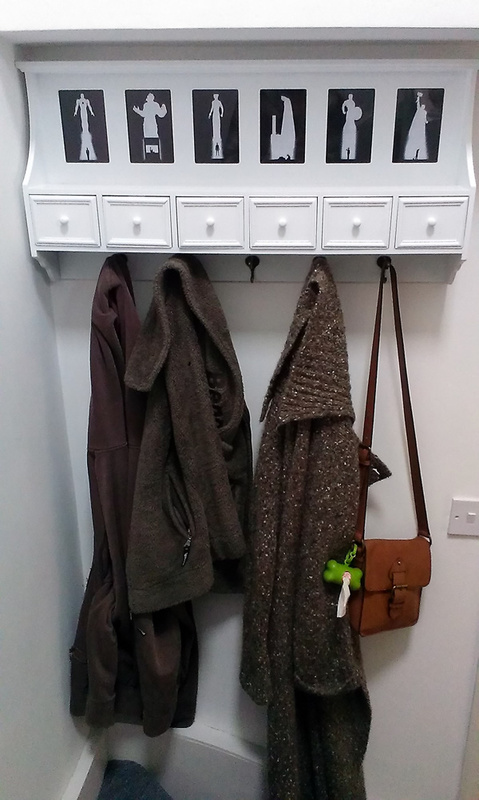 I acquired a small cupboard (in August 2012), another boot sale bargain at £8, and it met my growing need for storage perfectly. 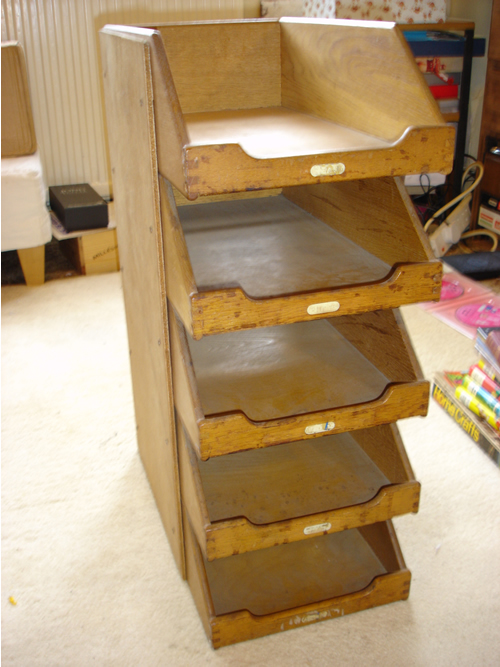 A vintage filing rack (£8) completes my trio of boot sale furniture. Space has always been an issue in the studio. 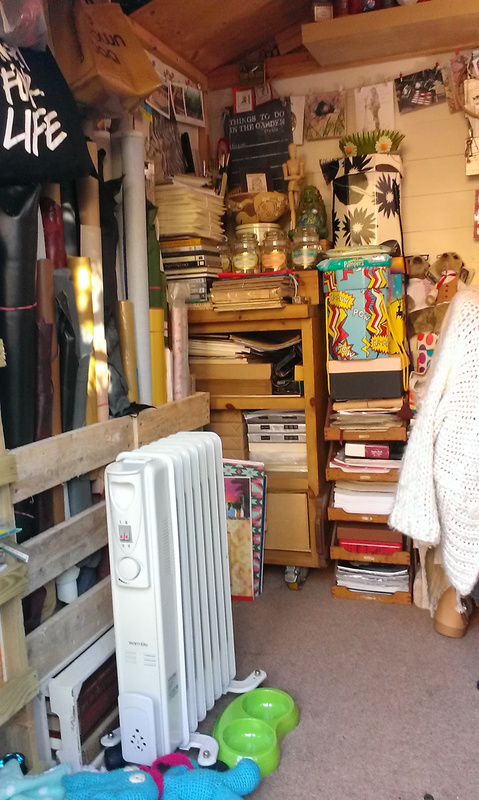 At just 6×6 ft (internally – the exterior measurement is 7×7 due to the eaves), every square foot of space is precious, and my habit of accumulating things that “might be useful one day” doesn’t help matters! 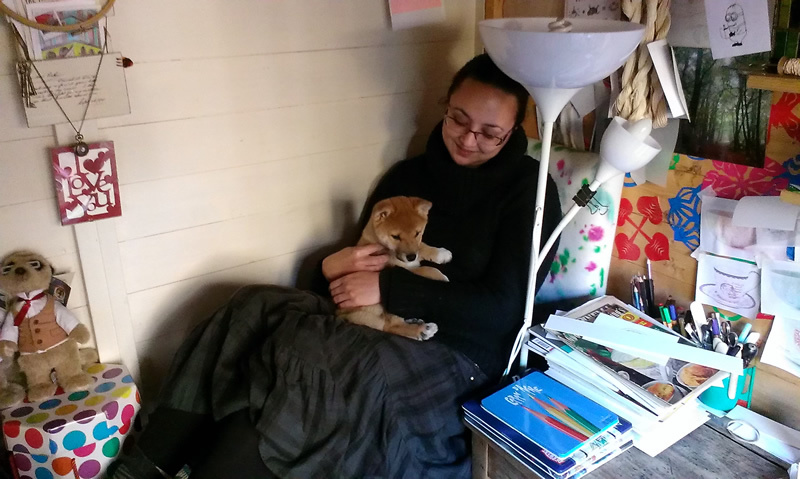 I’ve always made good use of the walls, putting up hooks and shelves as required, but this month we got a new puppy and suddenly I need even more space. 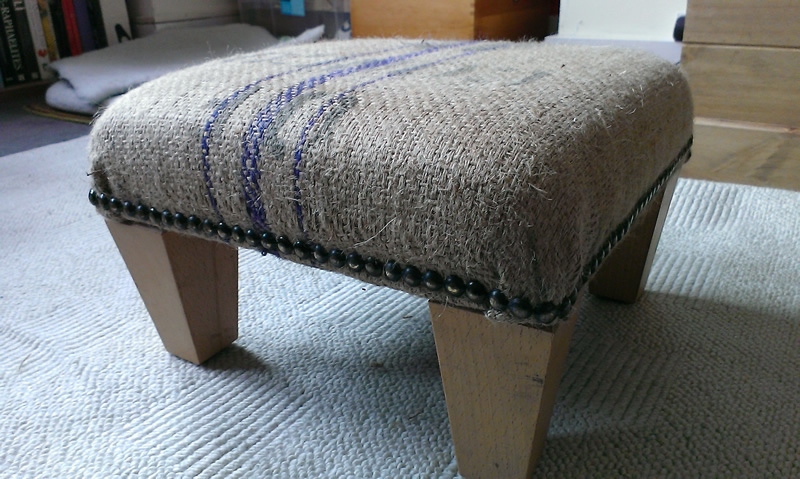 I had a vague idea of building a bench which would double as somewhere to sit as well as somewhere to store things. 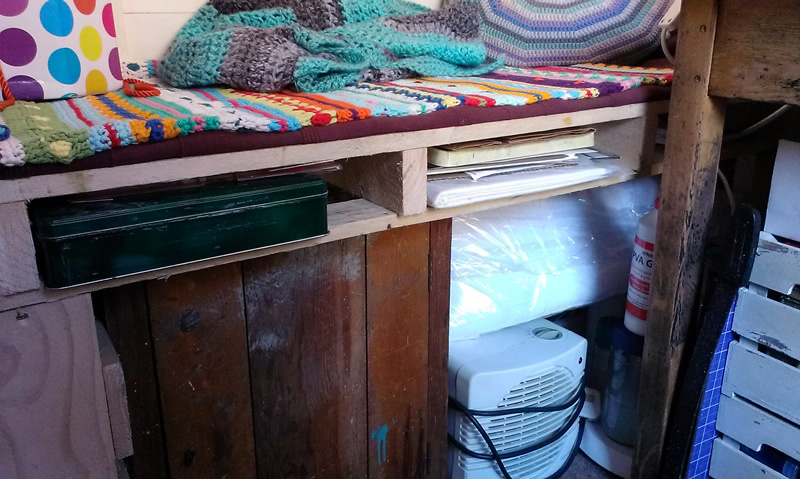 I sketched out some rough plans, and my initial thought was to build a bench that had room underneath for my cupboard and some crates, as well as having a compartment within the seat to hold my rolls of leather and paper. 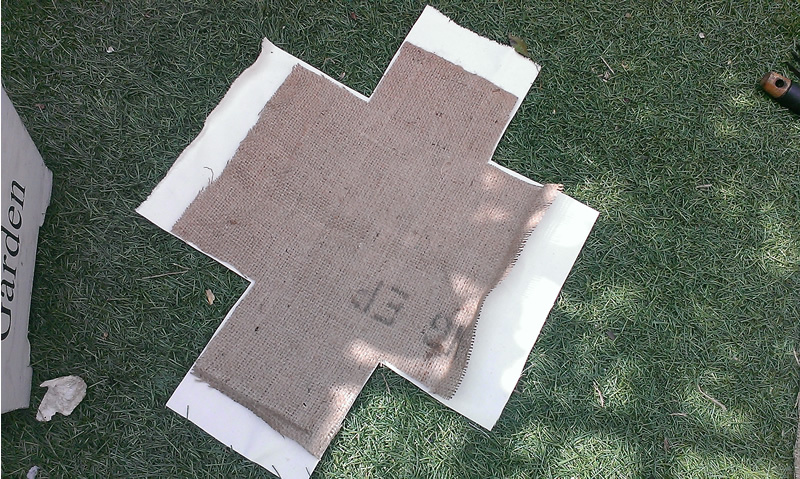 I did some rough calculations and decided that would cost me far too much in timber and plywood, so I went back to the drawing board. 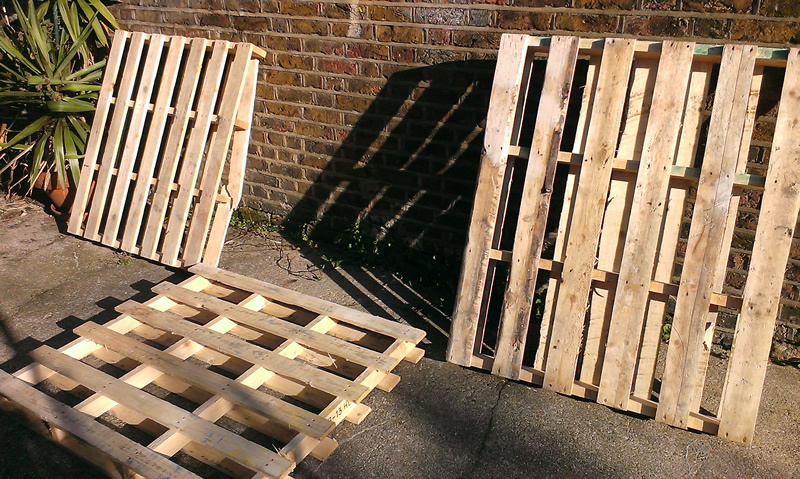 The answer came to me in a flash: wooden pallets! 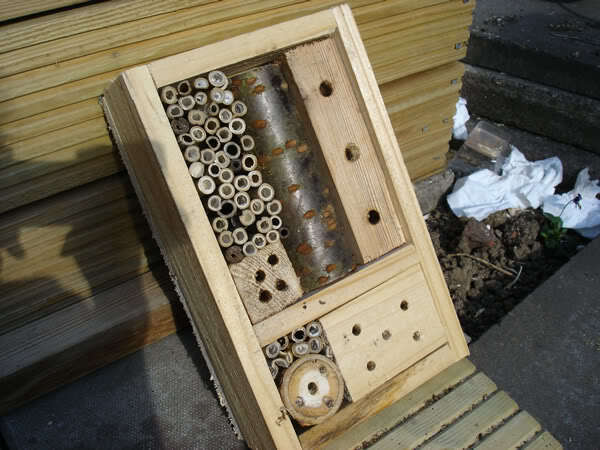 They’re strong, and many independant builders merchants can’t wait to give them away to save on disposal costs. 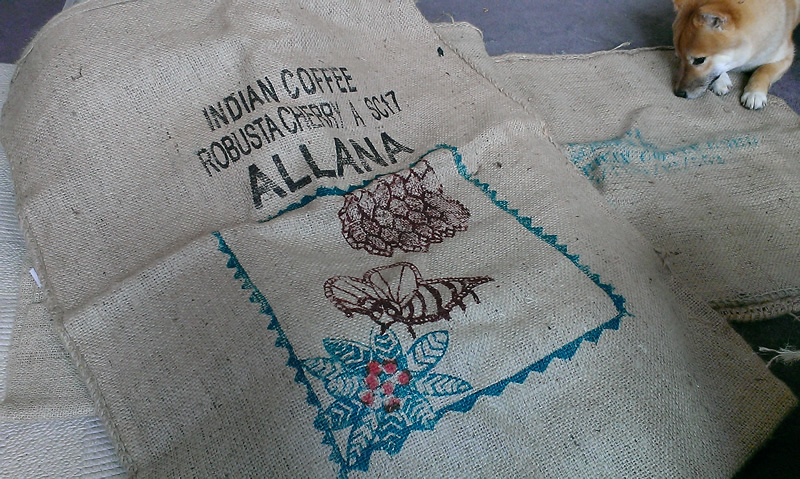 So I scrounged three of those (I thought we’d only need two, but better safe than sorry!) and then set my partner, Matt, to work. 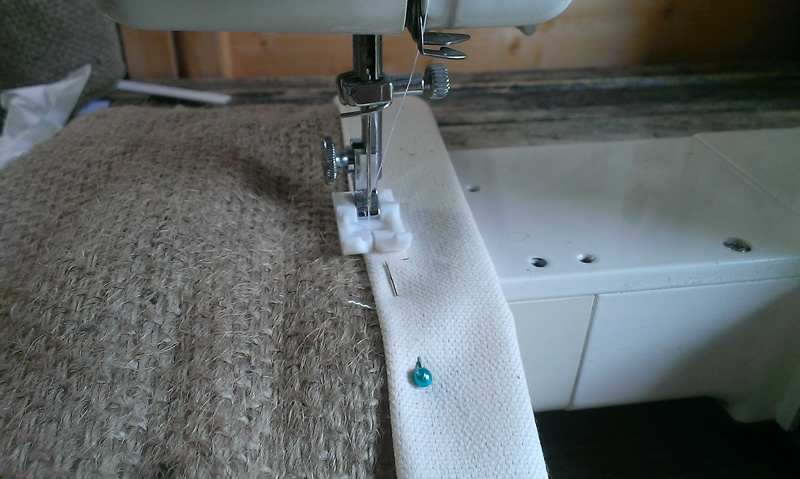 This is quite unusual because I’m normally very hands-on (and definitely the practical one in our family), but I’ve had some back problems of late and thought it was best to just act in a supervisory role this time! 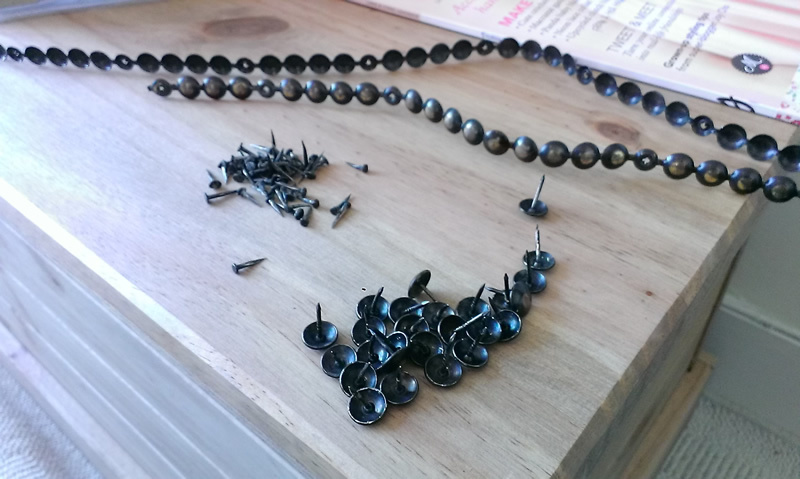 Anyone who is thinking of repurposing wooden pallets should be aware that they’re constructed using threaded nails, which makes them an absolute nightmare to take apart. 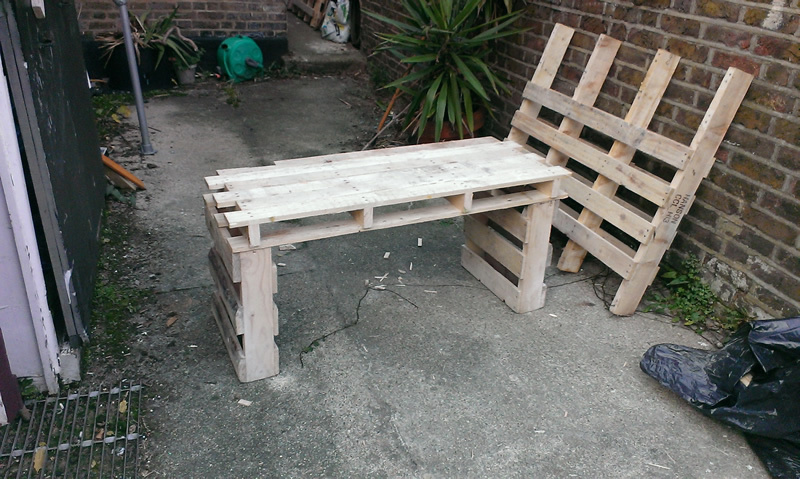 However, Matt persevered and after a few hours we had a finished bench, which fitten the available space perfectly. 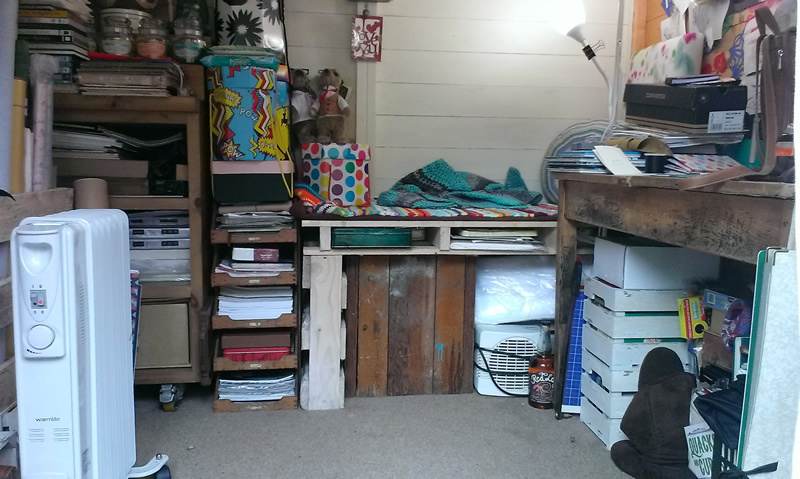 After spending quite a lot of time faffing around and tidying, here’s how it all looks. 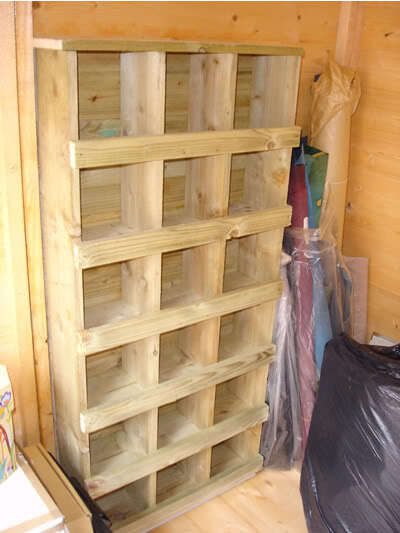 The cupboard fits underneath, and there are also crates stacked under there too, plus I can use the space inside the pallet itself to store a few bits and pieces. 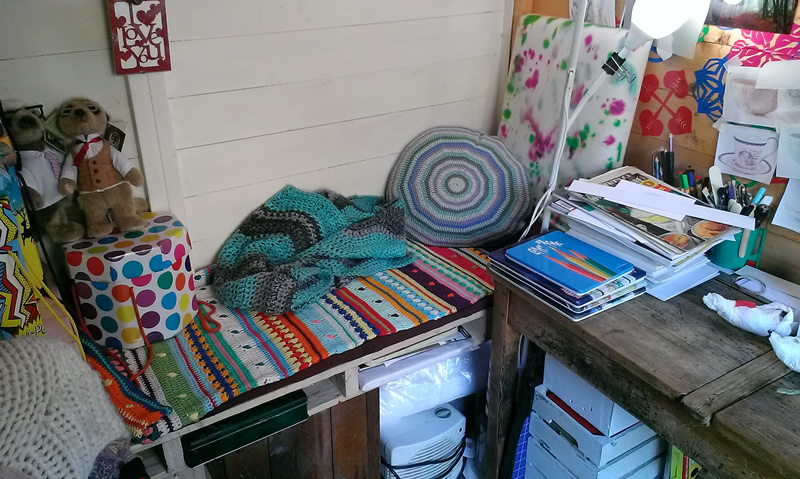 I had intended to get a cushion pad to go on top of the bench, but it turned out that two blankets sufficed to make it comfy instead! 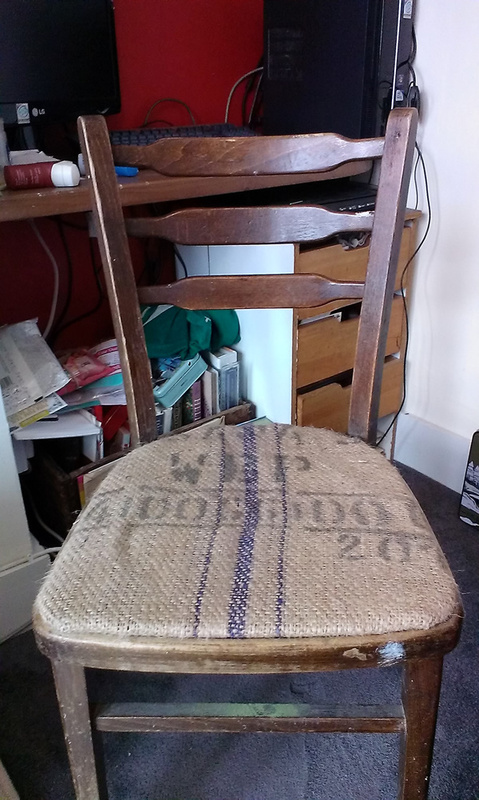 The padded ‘headrest’ at the end is actually the back of one of my old chairs, which I sawed off (the chair had finally become too unstable to sit on). 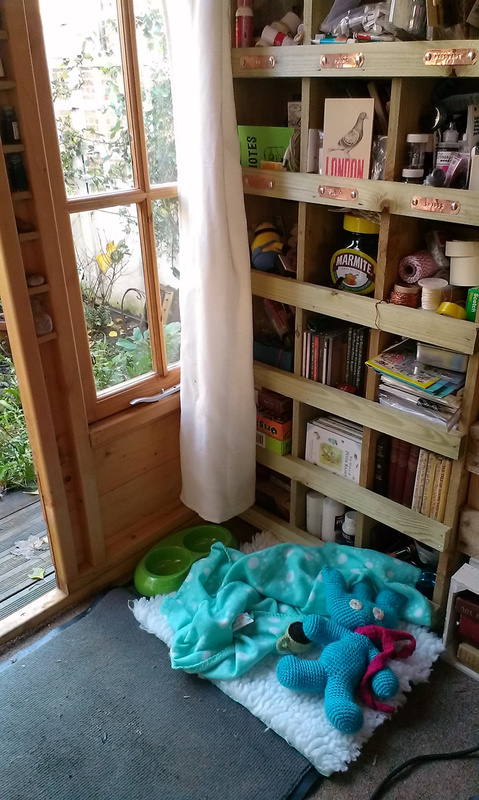 I’ve got oodles more floor space, and have used the leftover bits of pallet to create storage for my leather and paper – and now there’s a decent amount of space for our puppy to run around. Oh, and of course the new bench is just perfect for a quick snuggle with the pup. 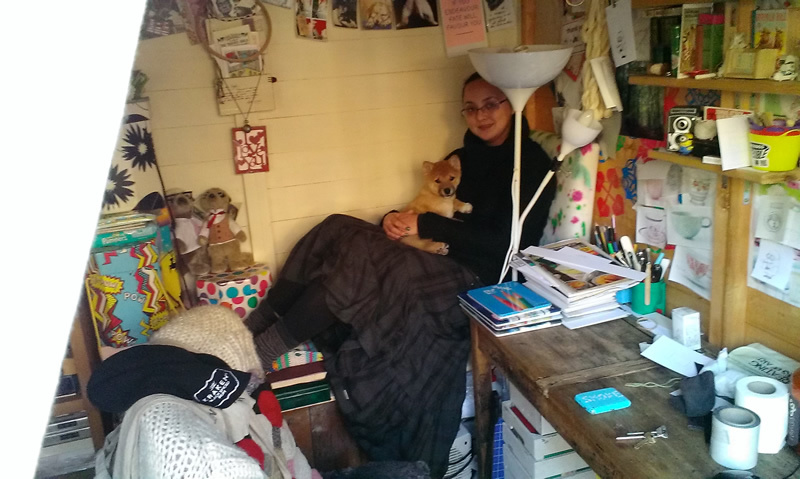 My studio is a very organic space, and I’m sure it will continue to grow and change in the coming years. For now though it meets all my needs, and pup’s too. 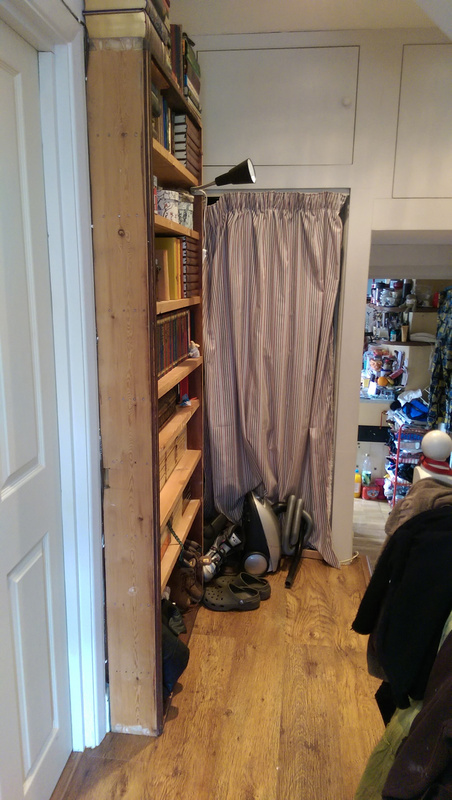 I hope you have enjoyed reading about my amazing space, and I would very much welcome any comments or feedback you have. Oh, and if you’d like to see more photos of our beautiful puppy, then please visit The Loki Files.